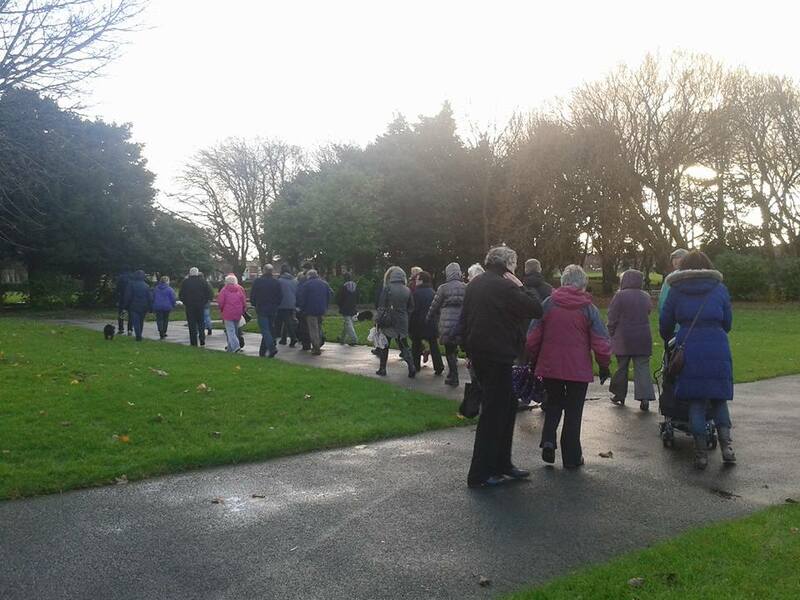 The friends group organised a series of Christmas grotto’s every Sunday in December. 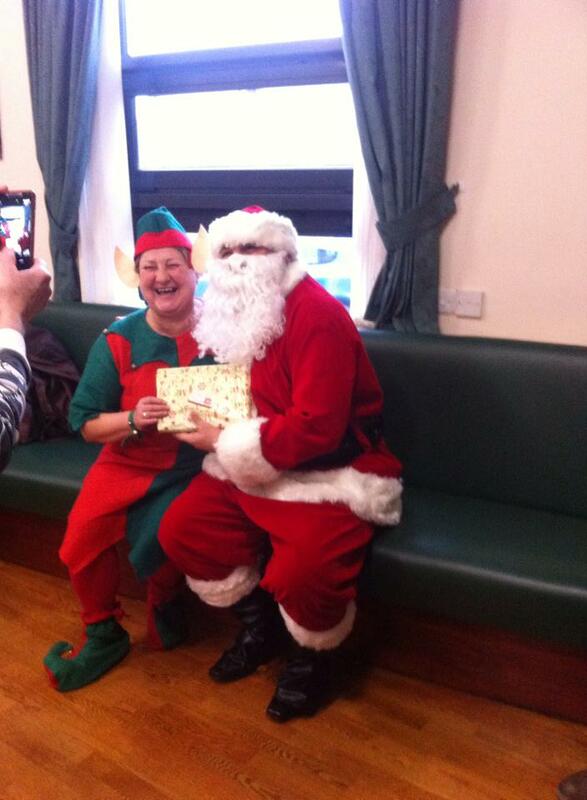 Resulting in over 250 children come along to meet Santa and his elf. 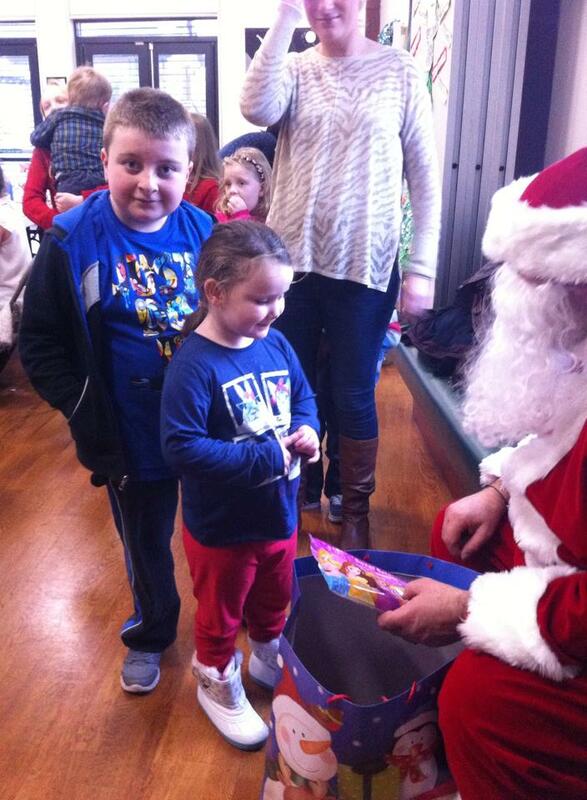 The children and families thoroughly enjoyed the grotto’s which included lots of fun crafts and games. 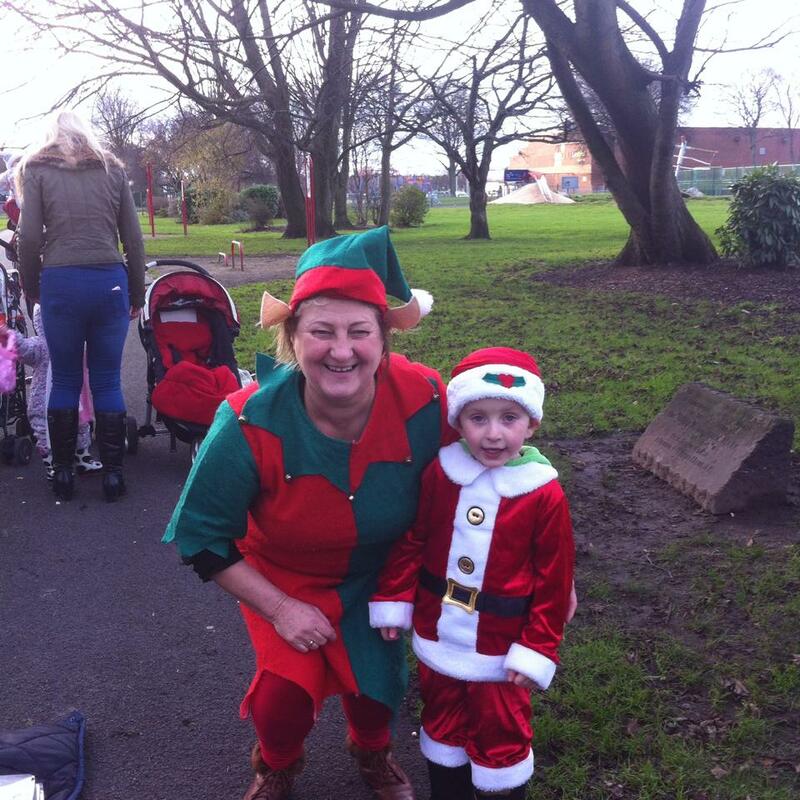 It all started on 1st December with our annual selfie with the elfie in the park. 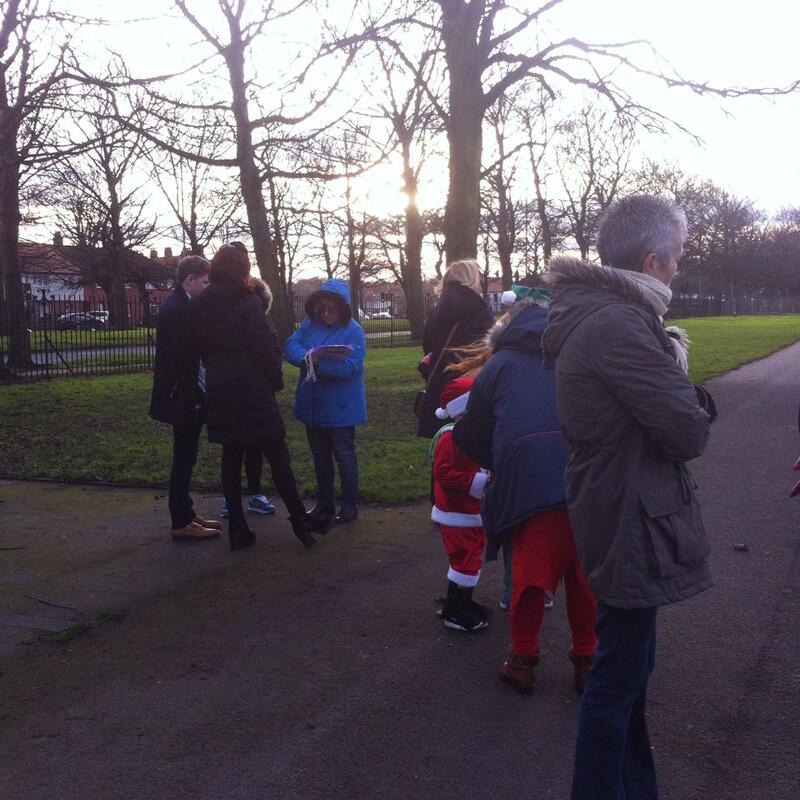 When unsuspected park visitors were introduced to our elf and given “naughty or nice” letters to put out Christmas eve. 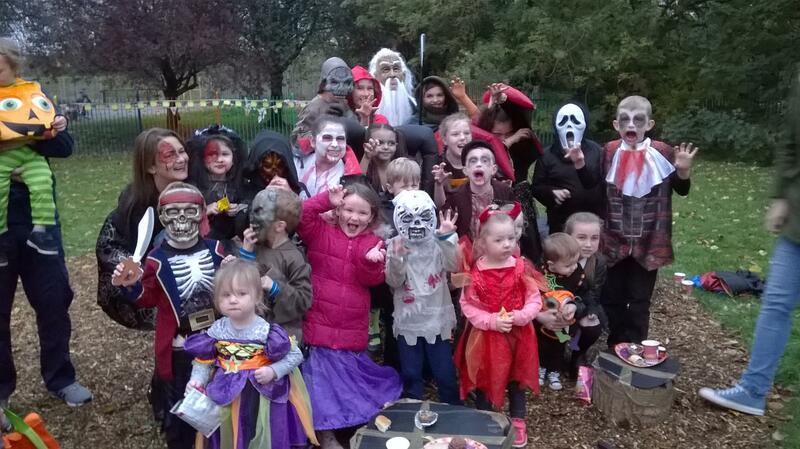 Both young and old were treated to a selfie which we used to promote the park and the grotto. At the grotto each child was able to list the many presents they wanted for Christmas after assuring Santa they had been very, very good. 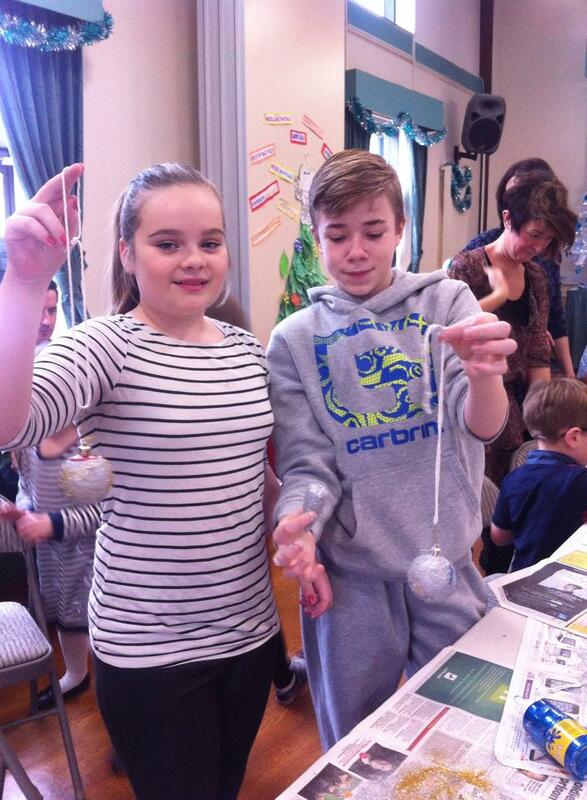 Then they were able to make Christmas baubles for the trees, cards for their well deserving parents and family and colour in pictures for them to take home. 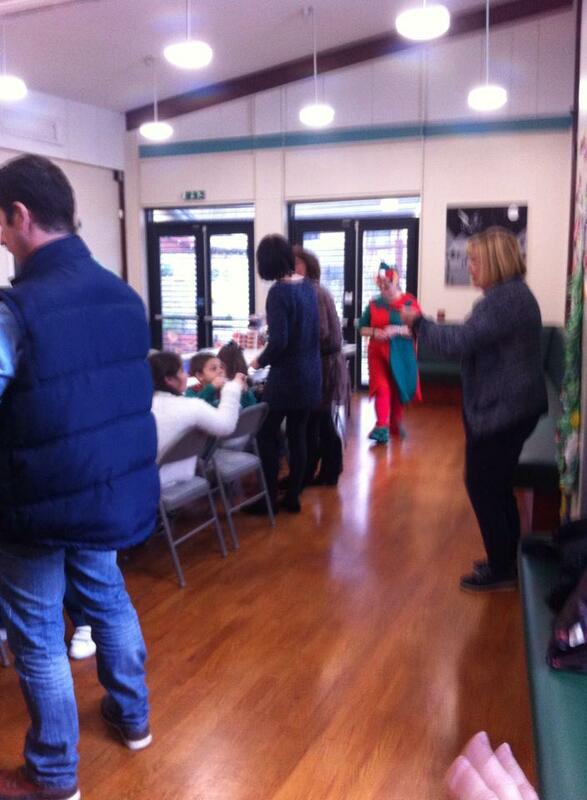 There was also hot chocolate, topped with cream and marshmallows and Mince pies for everyone to enjoy. 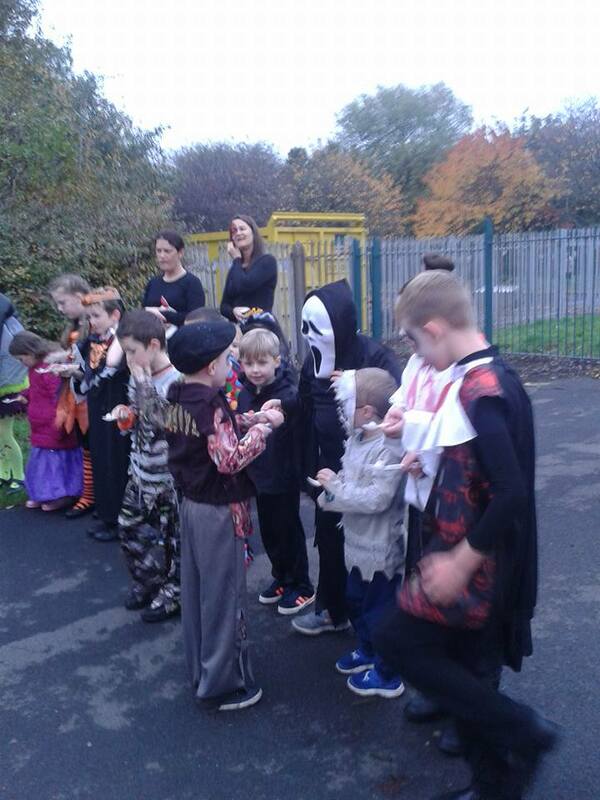 The children also enjoyed lots of sweets and lollipops and goody bags. The children also took a bag of reindeer food home with them to put out Christmas eve night to attract the reindeer’s but also the birds as we used wild bird food, who knew that they both liked the same food. Santa’s sleigh and frosty the snowman was a big hit with the parents who were able to take lovely Christmas photographs of their children and to remember the day. On the lead up to Christmas the clever elves had also built log reindeer’s which the group sold out in the first hour of the opening of the grotto. Huge thanks to Tesco who sponsored the events and the friends group volunteers, without them the events could not of gone ahead. 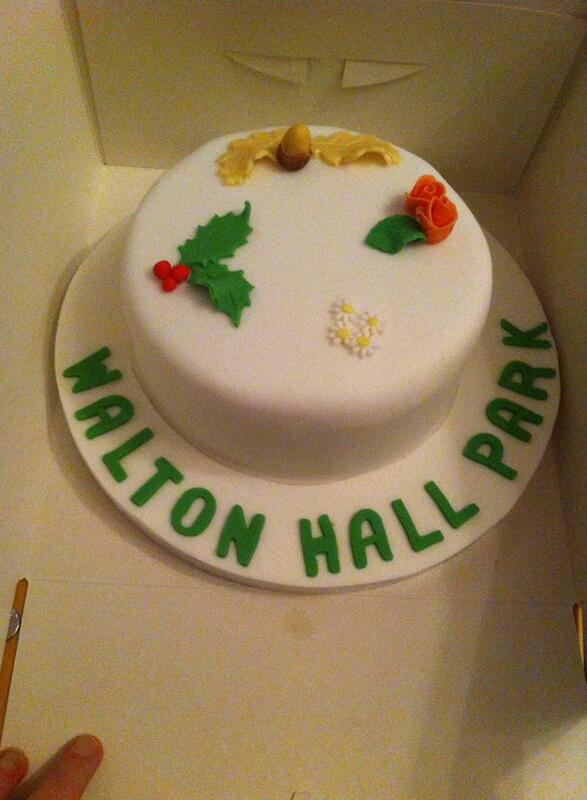 Lastly thank you to everyone who came along and took part in the events and made it a thoroughly enjoyable Christmas in Walton hall park. 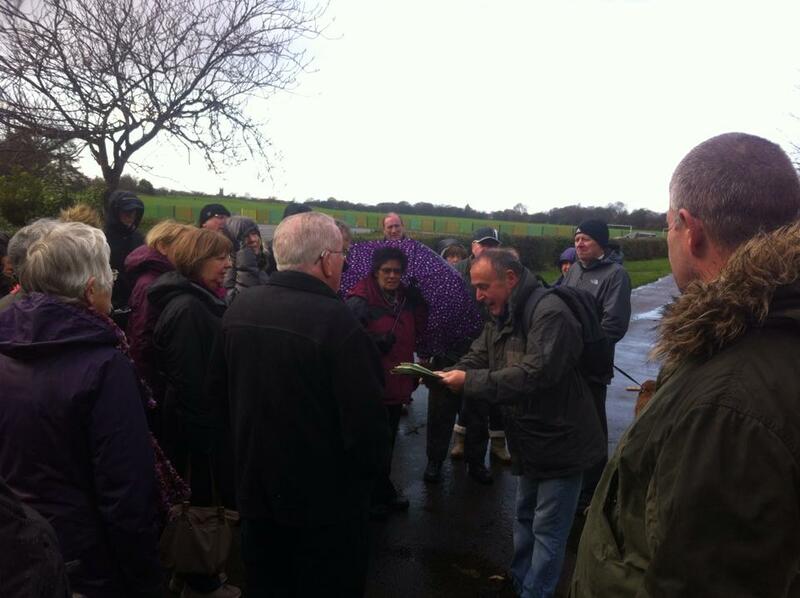 Our open day at the garden went really well and over 300 people came out to support us and visit the garden. Lord Mayor Malcolm Kennedy and Lady Mayoress Liliana came along with deputy junior lord mayor and junior lord mayors to formerly open the community garden. Special guest Walton MP Dan Carden and former Walton MP Peter Kilfoyle and of course our very own Rupert the bear. 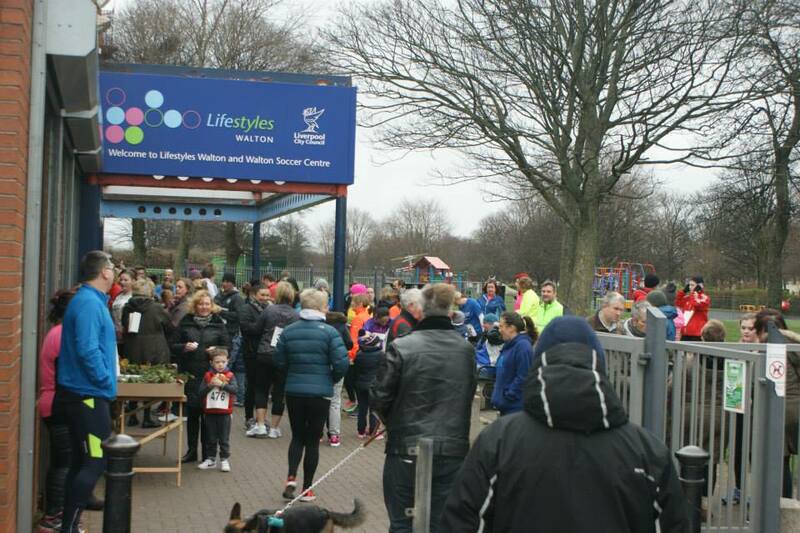 The community and park visitors celebrated the opening with lots of free food and drinks, the food was donated by Tesco county road and Walton Asda. 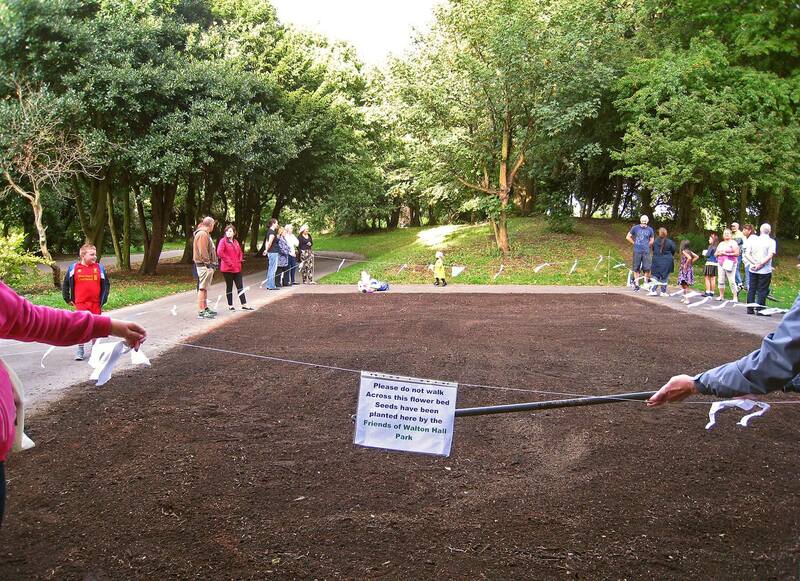 The garden will now be open three days a week to the community and park visitors. It will be closed on for the local schools, organisations and other charities. 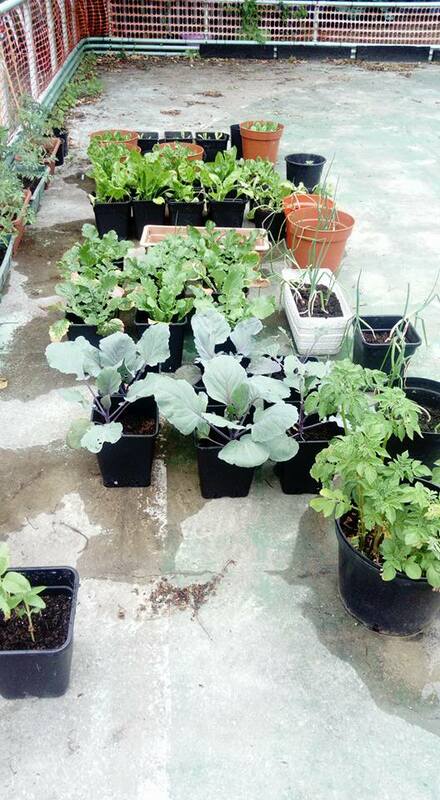 We are so proud to announce the opening of our garden this weekend. 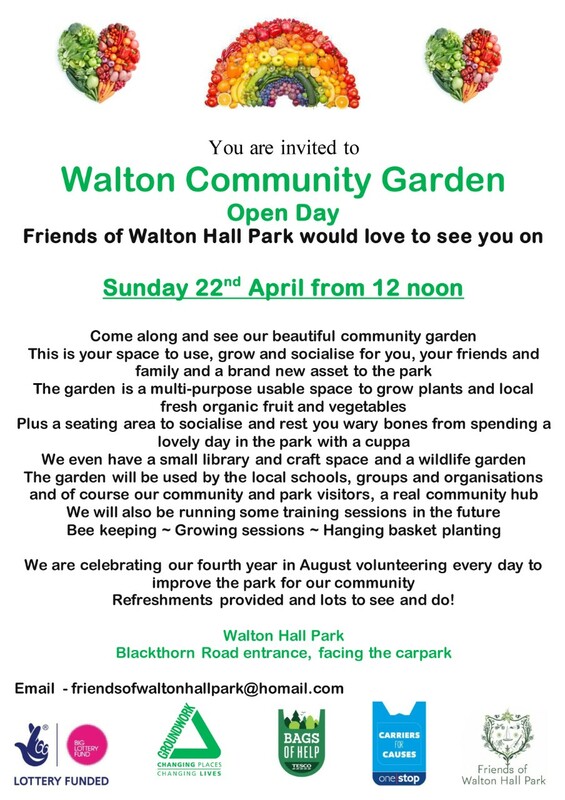 Walton community garden has been funded by Big Lottery and the volunteers have worked hard to pull it all together to showcase the work er do and what can be achieved by a community wanting to make a difference. Lord Mayor Malcolm Kennedy, lady mayoress, Junior lord mayors and Walton MP Dan Carden will be some of the VIP guests coming along to the opening. 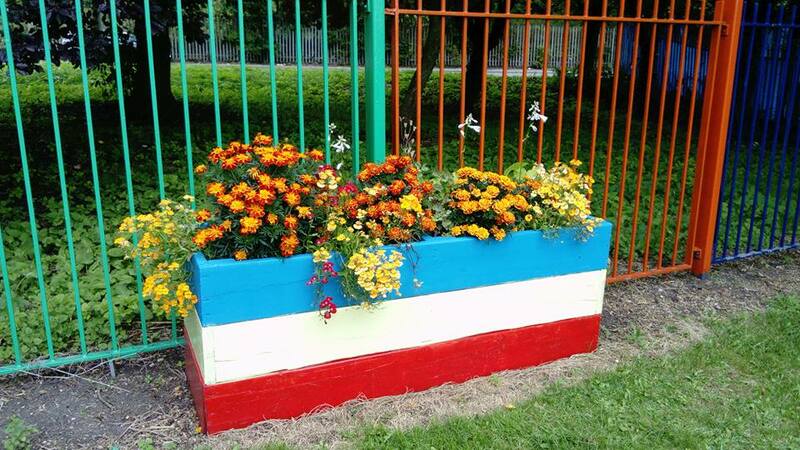 All of the community have also been invited as this is their garden. 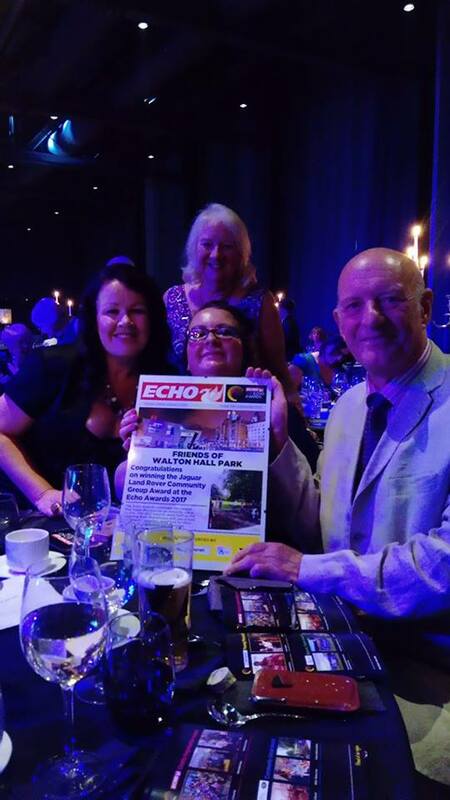 On Friday 15th September we attended the Pride of Merseyside awards, we had been nominated and went along without ever thinking we would of walked away with an award as there was so many worthy groups who do fantastic work that were all in the running for the award. 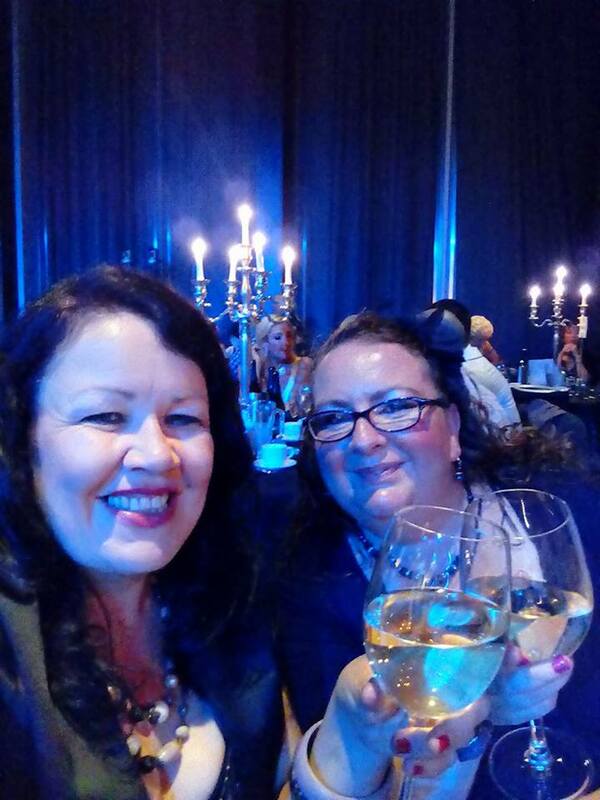 So when they announced we had won we got the shock of our lives! 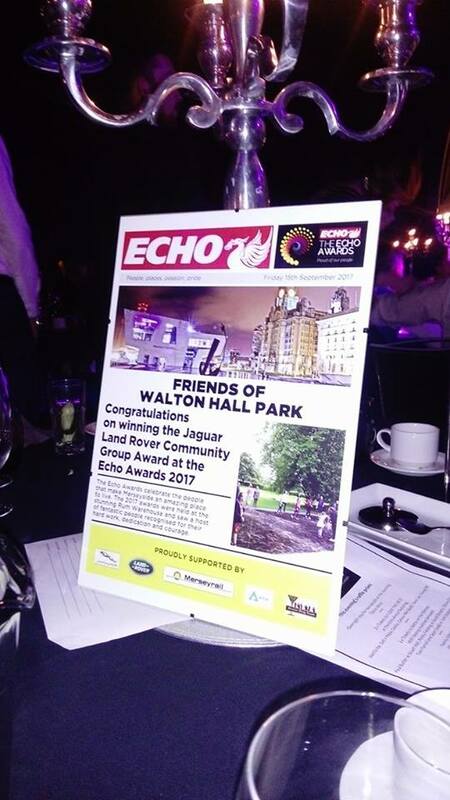 We were presented by the sponsors Jaguar Land Rover, who’s staff that attended the event loved the work we do and want to help in the future. 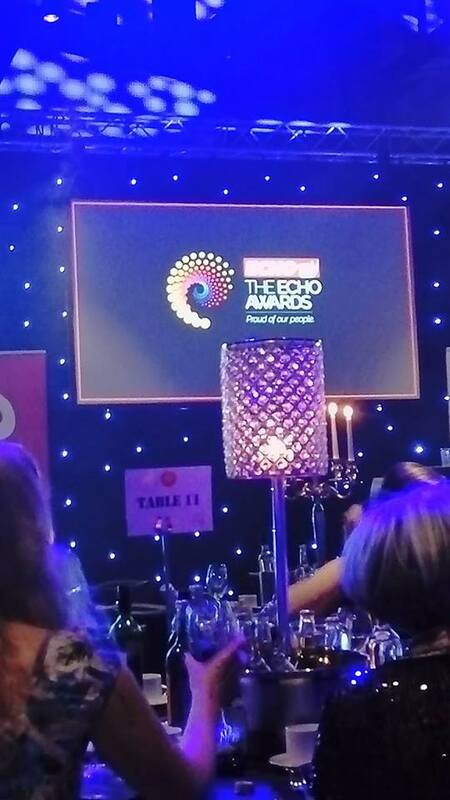 We are still in shock but what a fantastic surprise for us, our committee, all of our volunteers and the whole community who have supported and helped us for three years, so it is all of above who we dedicate this award too and all should be very proud of themselves. 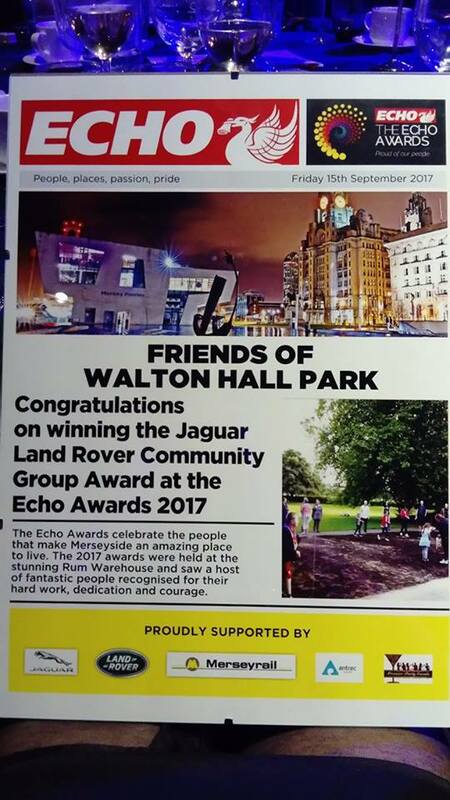 Although it was the group that was awarded we are going to claim the park, our park is also an award winner. 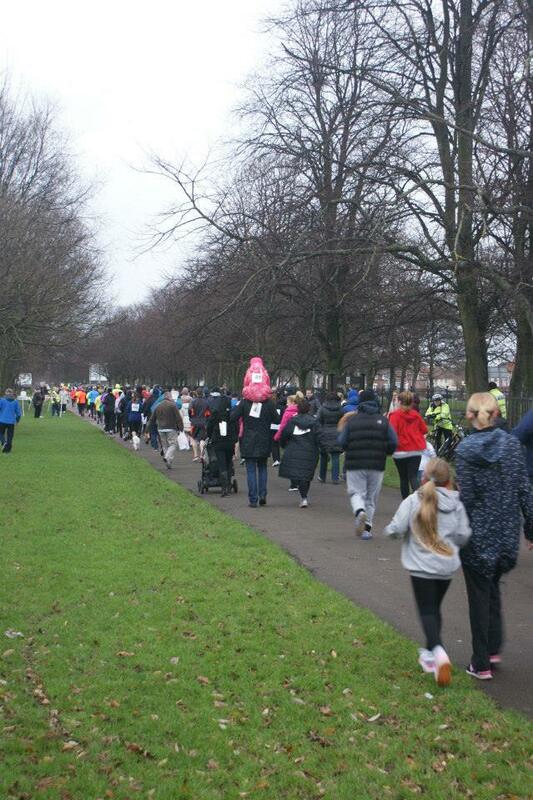 Firstly we would like to thank all our volunteers and sponsors who help out and fund the work we do in the park. 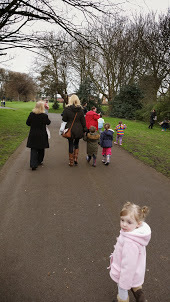 Our exciting news this month is…..
We have been very busy at the park this month. 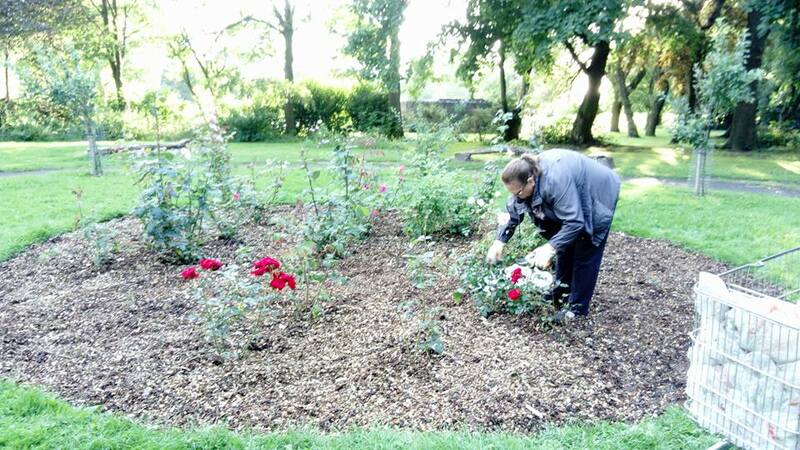 We have been doing a lot of work in the rose garden. 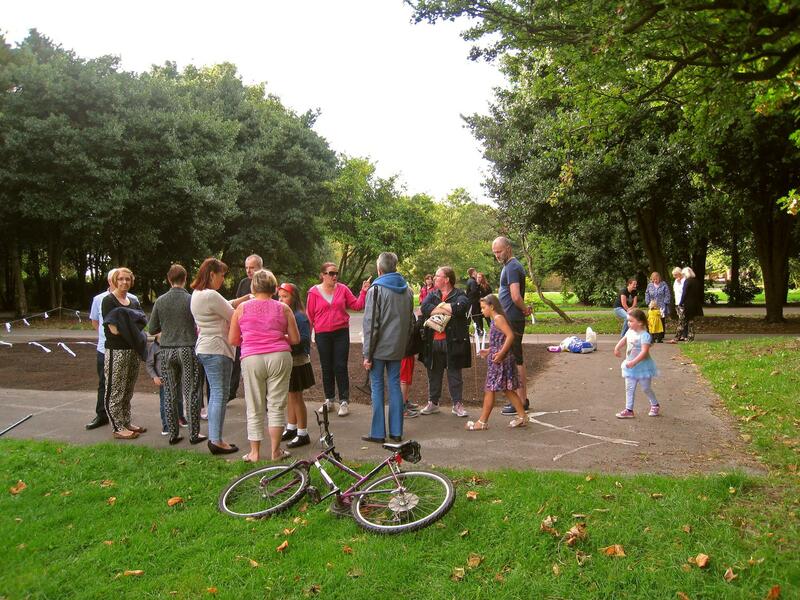 We are now at the rose garden every Tuesday and Friday evening from 6pm if you would like to get involved? 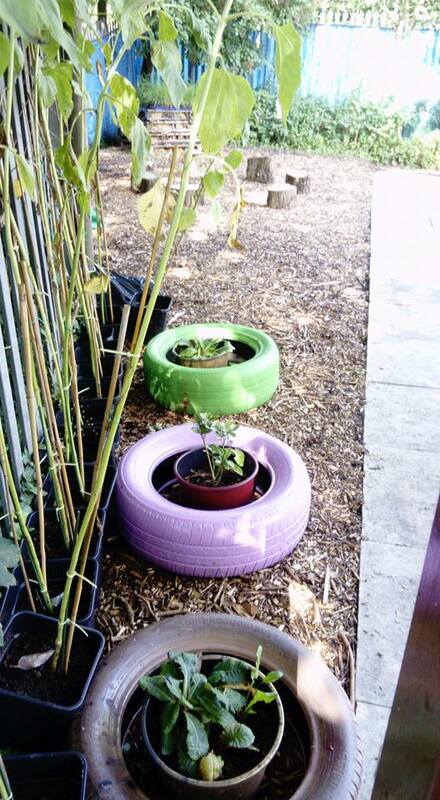 The bark has been relayed, the roses cut and the trees and bushes pruned. 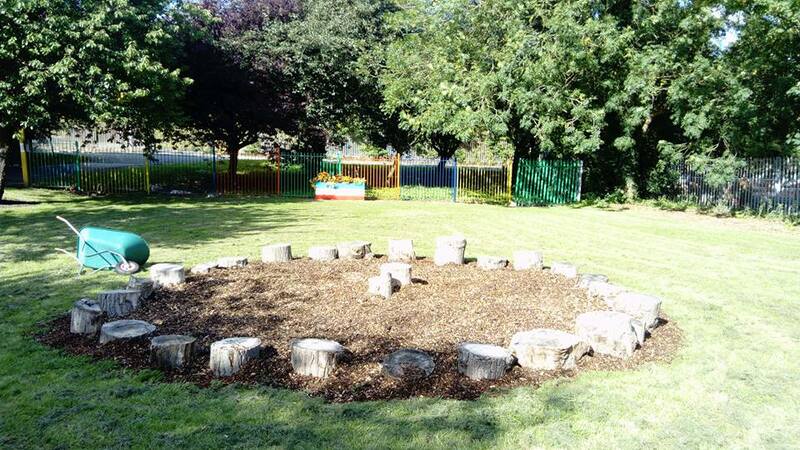 We also barked the children’s play area we created two years ago and pruned our raised bed. 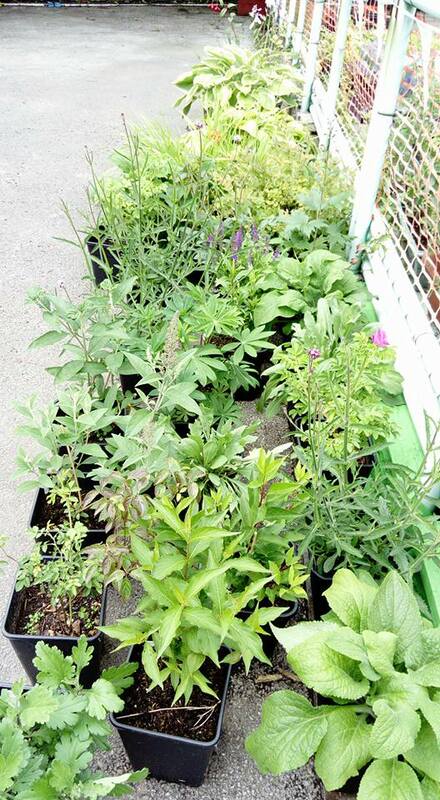 We have also received a grant from Merseyside Environmental Trust so we purchased lots of plants and then put them all in the park flower beds. 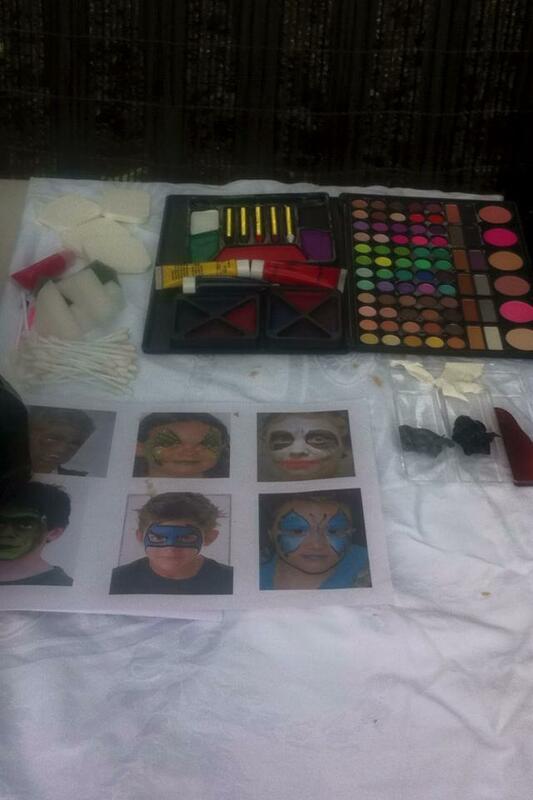 The children learnt lots of new skills and really enjoyed the day. 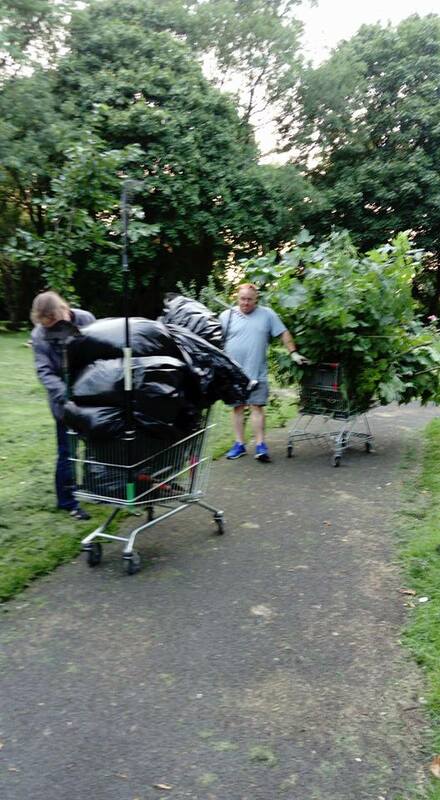 We also did our usual litter picks and so far this month have collected over 50 bin bags. 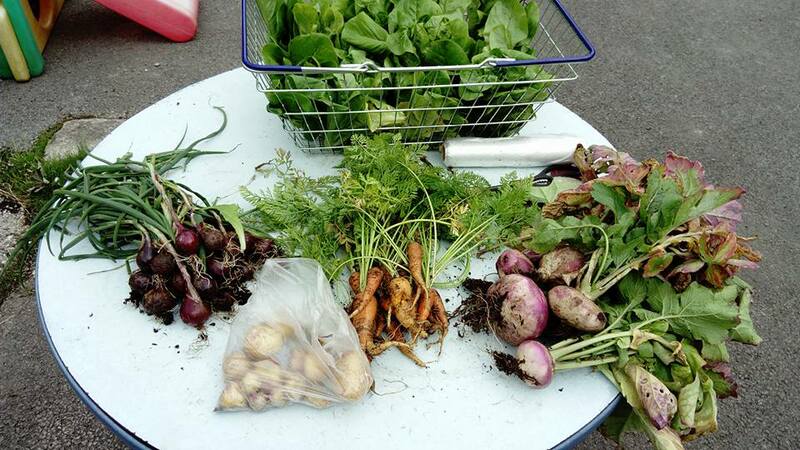 We have also done lots of work in our unit, both planting our raised beds, relaying the bark onto the wildlife area and we have been so busy harvesting all our foods we have grown. What a great time we have had this month. 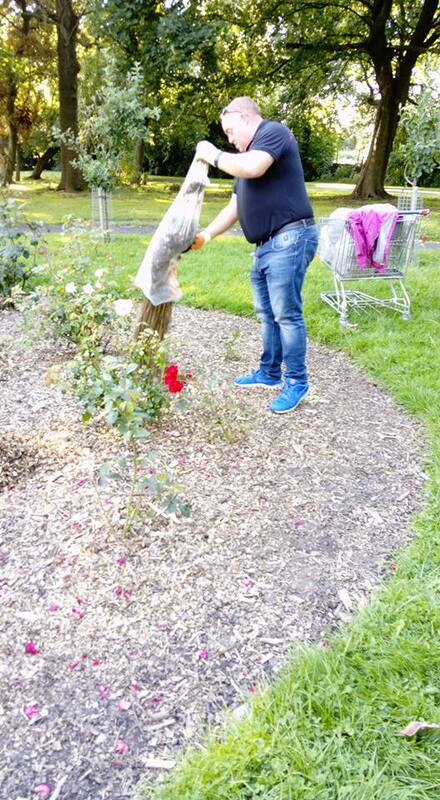 Firstly we had a 5ft white bunny rabbit on the loose in Walton hall park, but don’t worry it was a friendly one and we did not have to call the RSPCA. 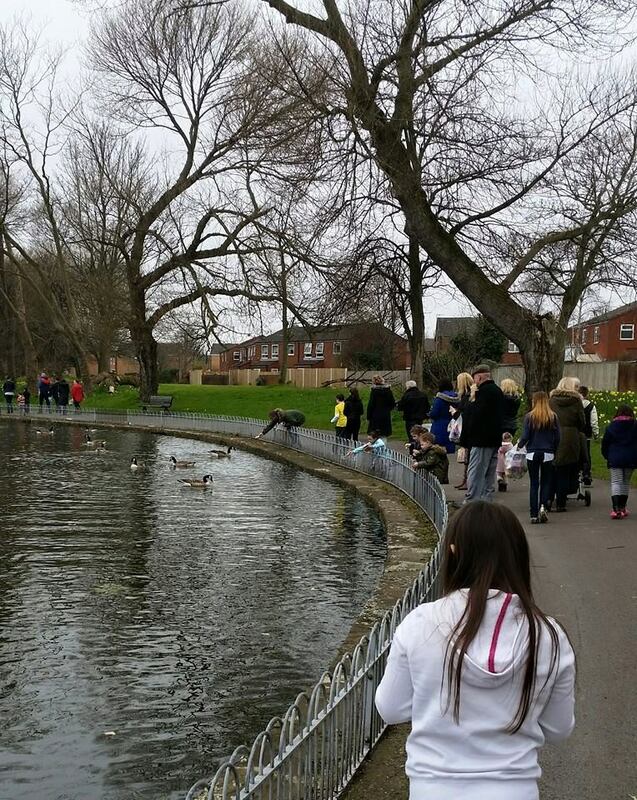 It was our very own Walton hall park Easter bunny who came to visit all the local children and deliver lots of Easter eggs at our annual Easter egg hunt. 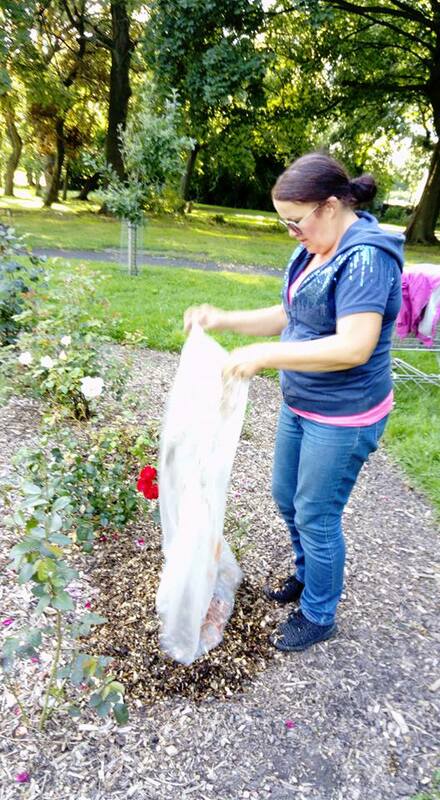 We have also been busy in our rose garden, our wildlife area and of course the litter but as were a popular park with visitors it is inevitable that we have to clear up the litter from all the families and our own community visiting our beautiful park. 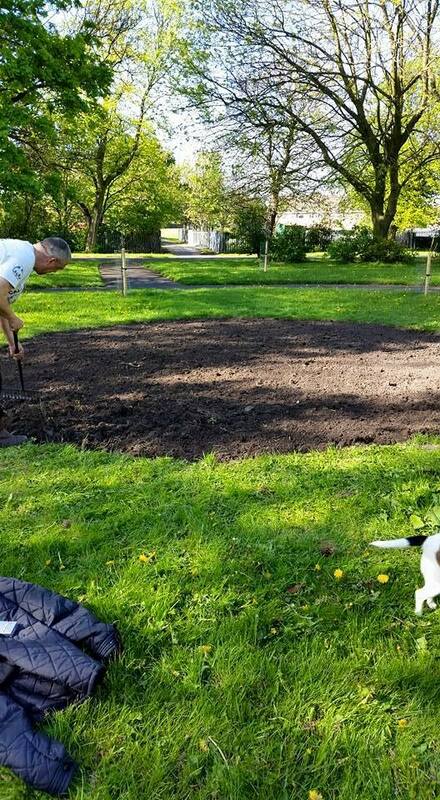 We have now put in two new flower beds in the rose garden and have had some great news that we have just received a funding pot for more plants to go in to the park. 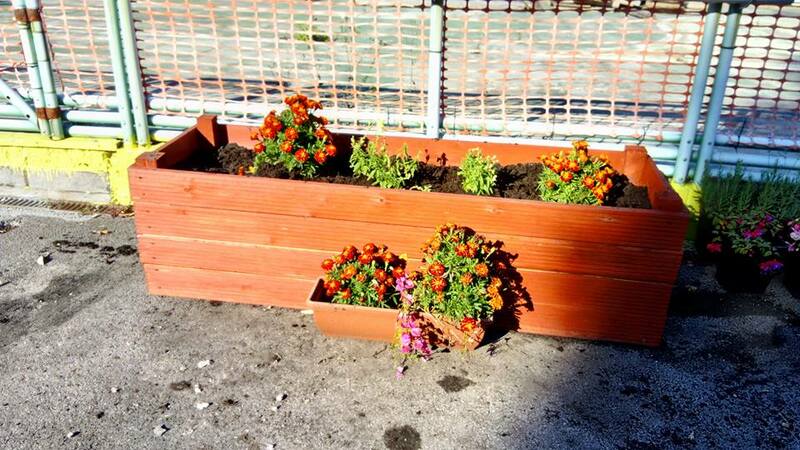 We will be purchasing some flowering bushes, lavender and lots of flowering plants to make the park a lot more colourful and bright. 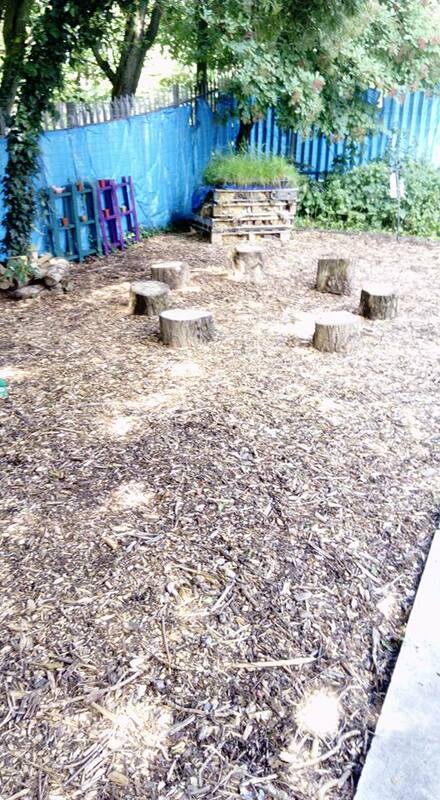 We have also built a new mud kitchen for the wildlife and outdoor play area and our smaller bugs hotels are all in. 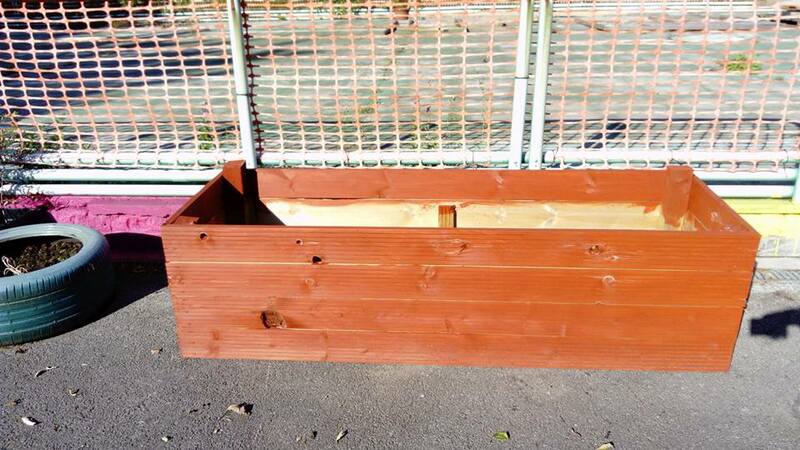 The raised beds are now being built and we hope our community growing scheme will be up and running before you know it. We planted twelve new rhododendron bushes last week in the park on the main path and we were so excited to see them now in bloom. 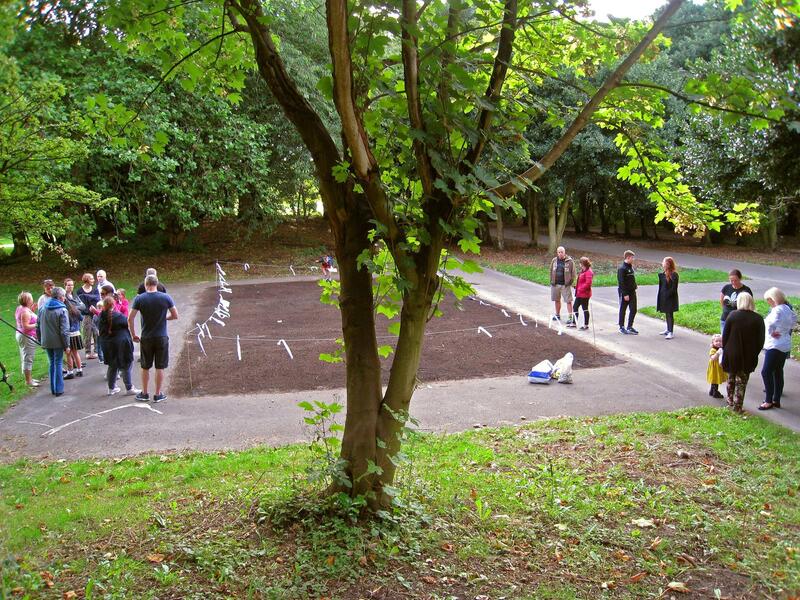 The 1000 bluebell bulbs all went in with help from our volunteers, the local cycling group, park visitors and of course our community so we can’t wait to see them in all their glory. We have been inundated with men in shorts!! Yes how lucky are we? But not to be flippant it is great to see the field in the park being used for the 25 football pitches that the city council has moved here while works are due to start on the new ones around the city. 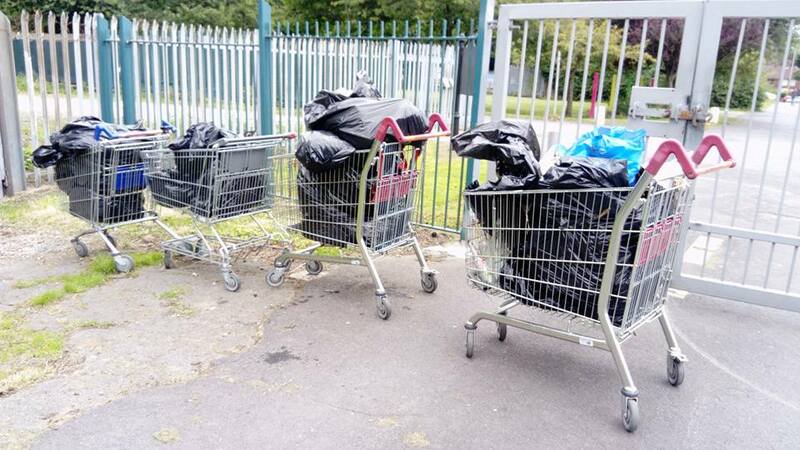 The only draw back is we have to clear the mess up with regular litter picks every Monday morning, we do this for free! 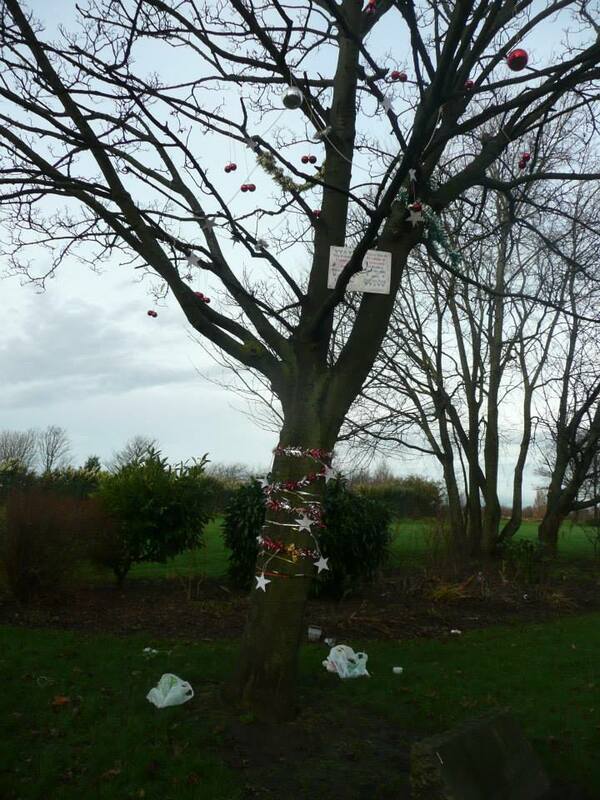 We love our park and think it should be kept as litter free as possible and the mess left behind is disgusting. 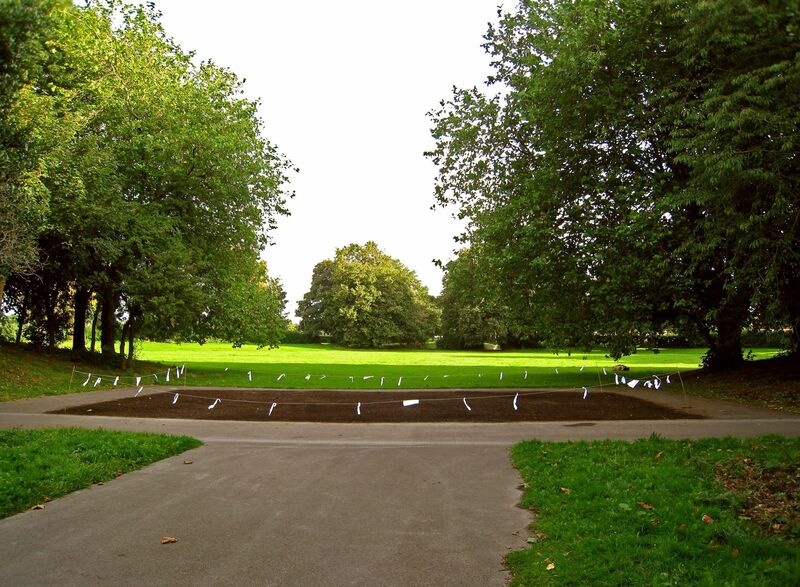 Our new flowering bulbs have been delivered and we are going to be asking for people in the community to come and help plant them in the park. 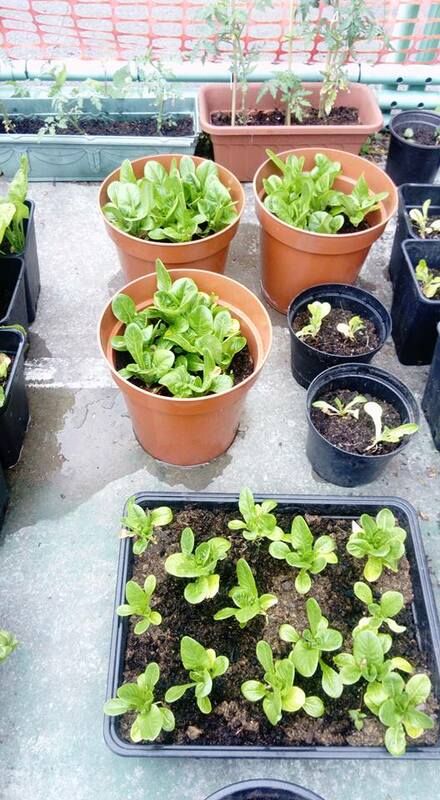 Our first batch is 1000 English Bluebells so gloves and trowels at the ready! 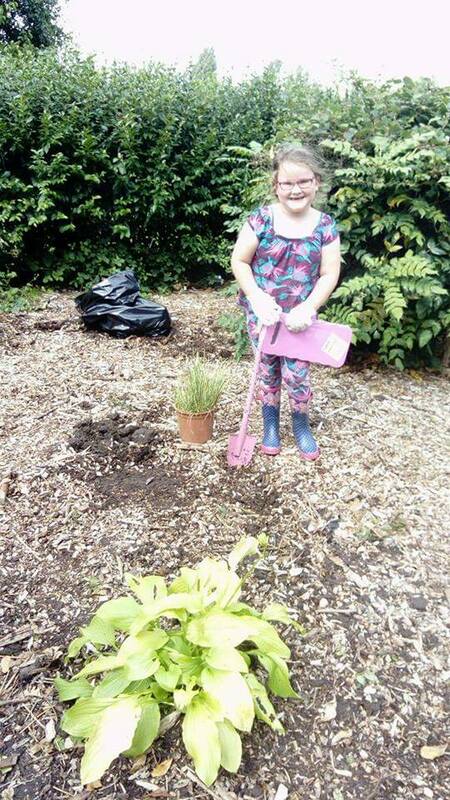 We have already planted some 300 crocus bulbs this week in one of the flower beds. 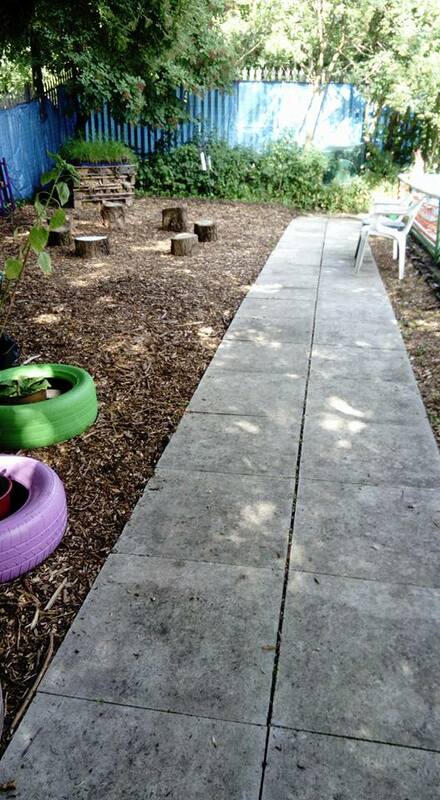 A company has kindly donated tonnes of bark to us and our park this week so we have refreshed some of the beds, children’s seating area and our wildlife corner. We have purchased 20 new bird nesting boxes which will be going up around the park ready for nesting season later on this year. 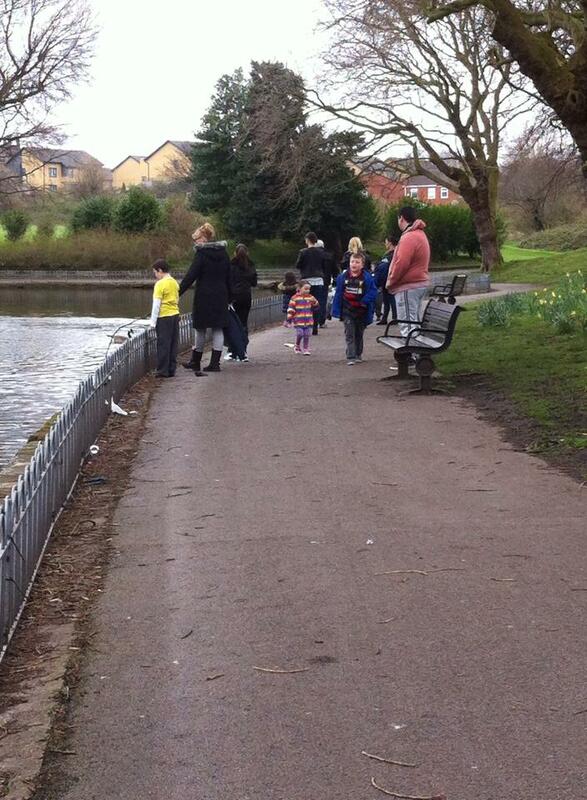 Mersey care Liverpool staff were at the park last week and helped out on a litter pick. 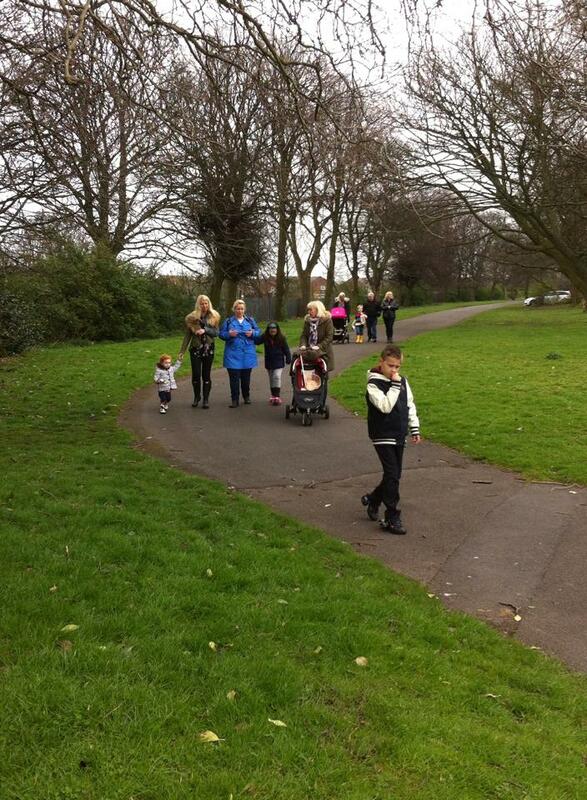 The whole park is gleaming so huge thanks to Life rooms Walton who by the end were i am sure exhausted. Wildlife update, Pablo is doing great, he is swimming away enjoying our new food and a beautiful swan has come to join him on our lake, there has been much excitement of our new friend Cyril the swan who is a fantastic addition to our already perfect wildlife. Lastly we have now applied for a lottery grant and it has all been sent in for us to bring back to life the former pets corner. After a lot of consultation in the community we felt we were ready to go ahead so fingers x’d it all goes swimmingly and the fun part can start and of course the hard work. 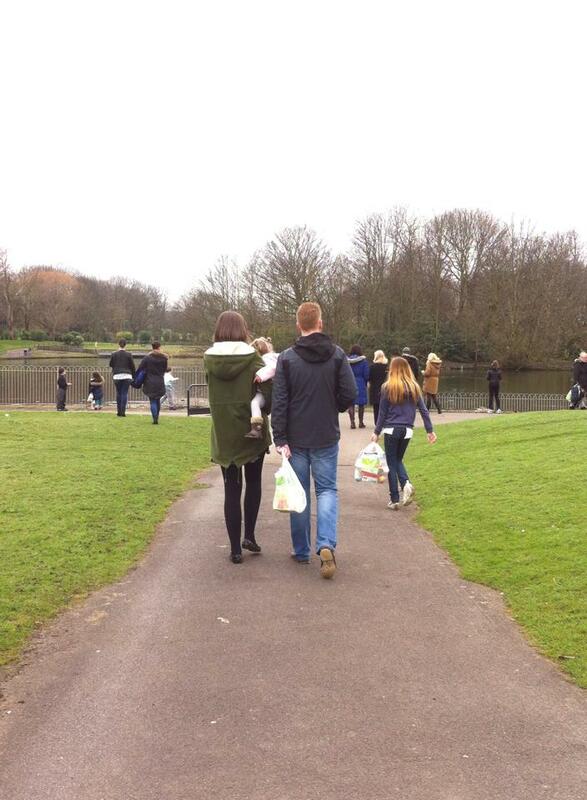 As you know we pick the litter up in the park and we are very proud of all our group volunteers who do this everyday to keep our park beautiful and litter free, well done everyone! 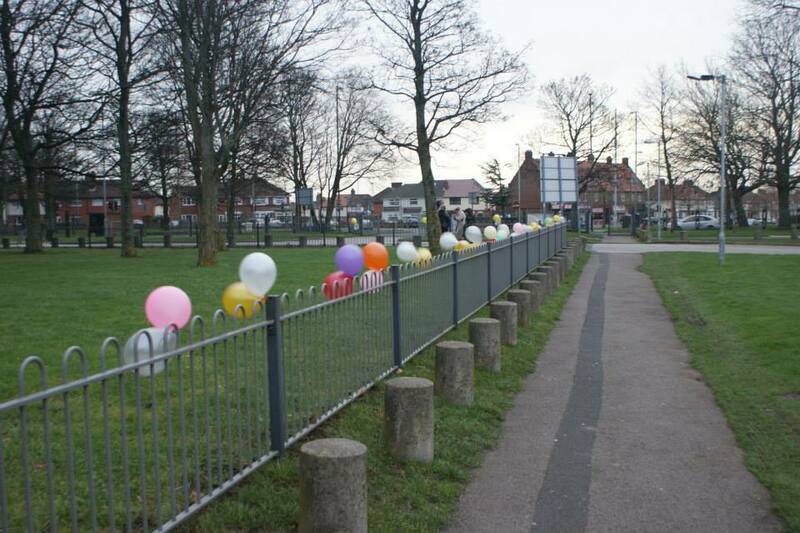 As we all know we have had parking problems in the park but after many meetings with the council we have all agreed that new rails are to be fitted in a joint project with our group to make our entire park safer for everyone. Our order for new benches and bins has also gone through and the new ones will all be getting fitted in the next few months. We chose were they are to go after we consulted with the community of where they are needed. We have been working with the parks officer and the fishermen for over a year now on the lakes project and now the treatment has been put in and the lake is looking very clear, the new pipe work for the lake is in planning and other works are in discussions but all it all looks very good. 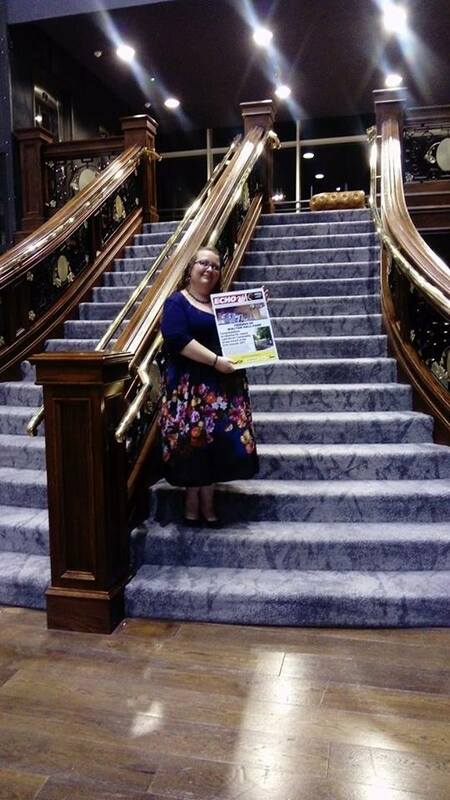 We would like to congratulate our chair Chrisie Byrne who has now become chair of Liverpool park friend’s forum, that’s every park friends group in Liverpool and was voted in by the other groups. 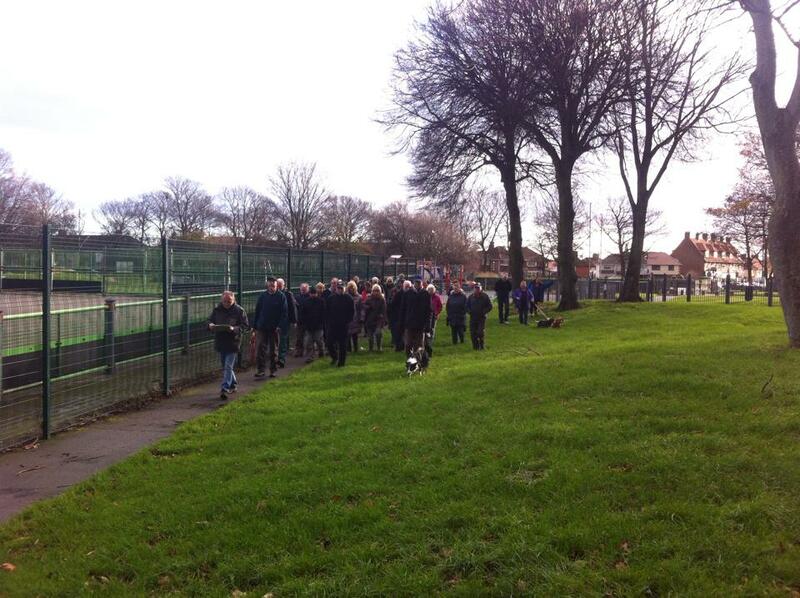 We also attended the green & open space review who recommended a trust for our park. We will be keeping everyone informed about our decisions. The draft local plan is also been released which is asking Liverpool residents to comment what happens in Liverpool in the future so please go along to the meeting at Spellow library on Thurs 20th Oct 2.30pm till 4.30pm and have your say! 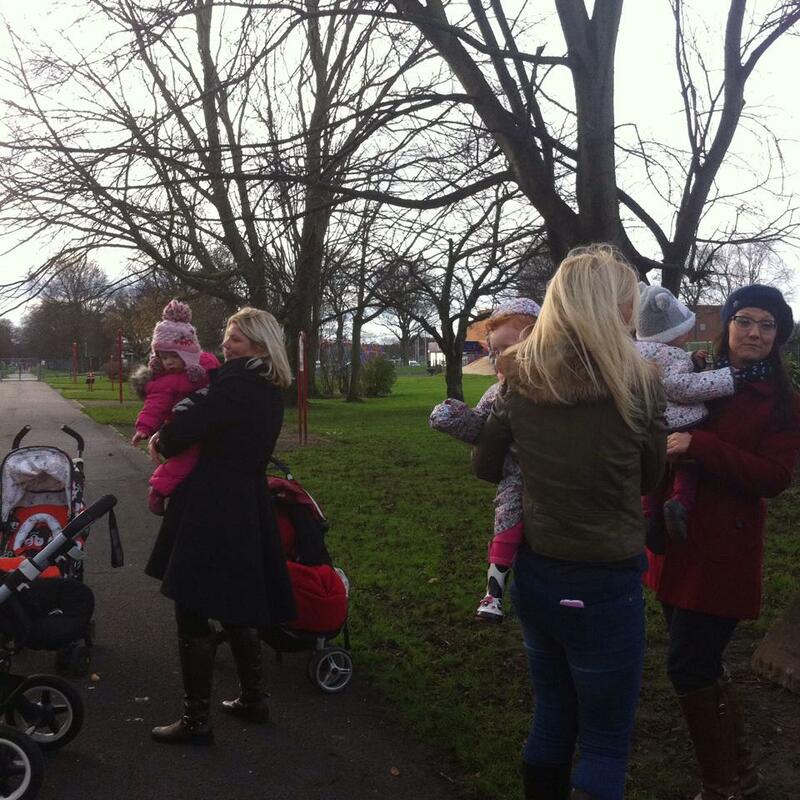 We are now running family walks every first Sunday of the month in the park, everyone is welcome to come along, be healthy socialise and meet new friends. 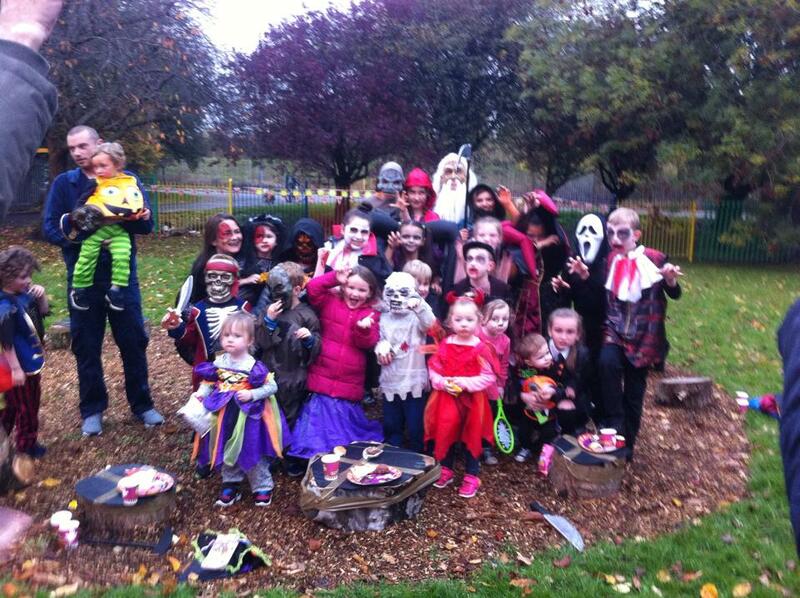 Our community children’s Halloween party is on 30th Oct in the nature garden. Our Christmas winter wonderland is also going to be a big hit this year with plenty for everyone to do and that’s on 10th December also see posters for details. 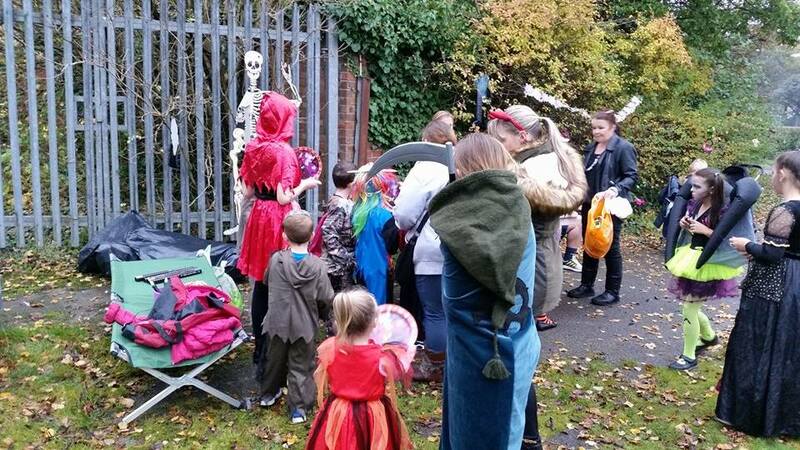 Please don’t hesitate to get in touch with us …..
On Sunday we held a community Halloween party for all the local children, although the adults had a lot of fun too! 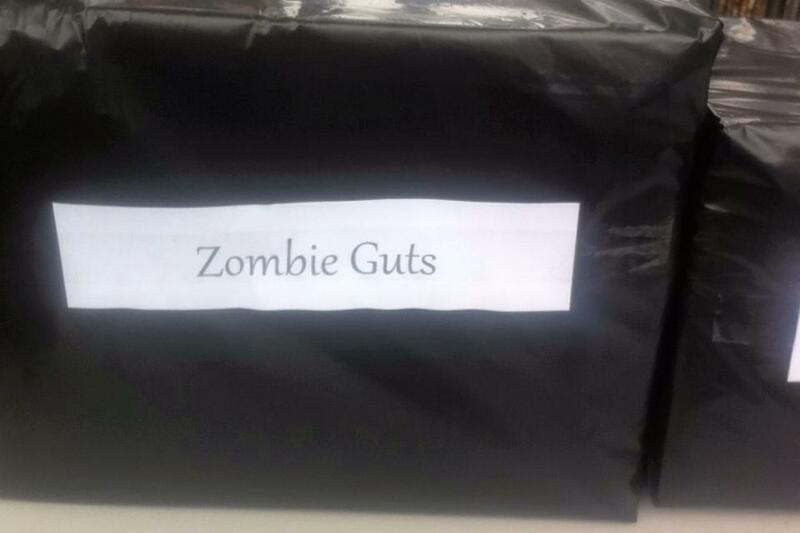 We all enjoyed a buffet of sandwhiches, brain shaped jellies, Ghost bananas and fruit, sausages in blood and spider cakes and cookies. 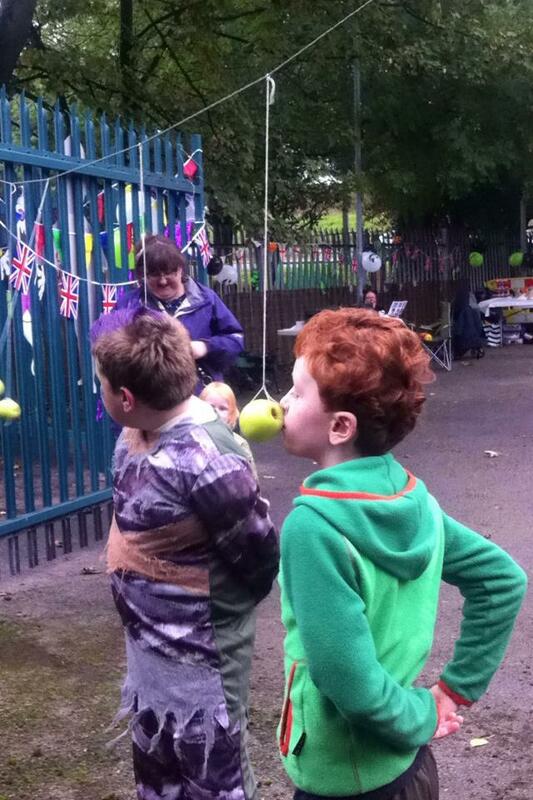 The children decorated the pumpkins with horror and glitter stickers and then we played our annual games including wrap your mummy, horror races and hangman apple bobbing. 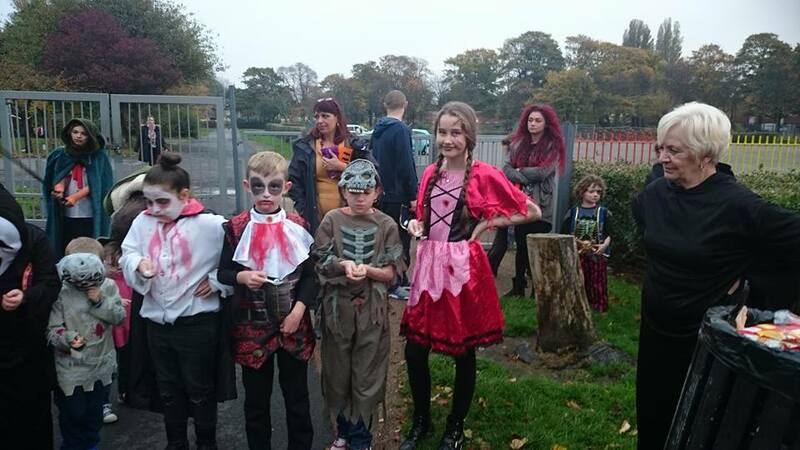 Lastly was our halloween fancy dress competition which the winners all walked away with trophies, medals and sweetie prizes. 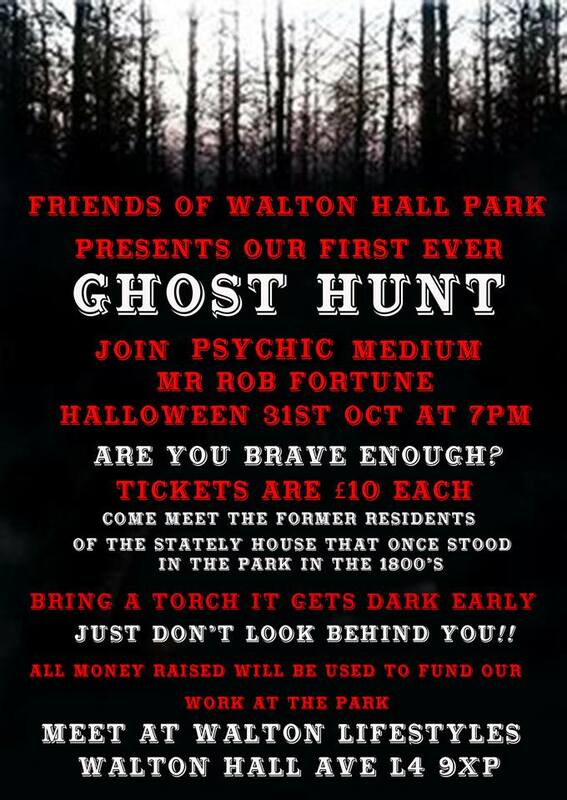 On Monday 31st Halloween eve we held our first ever ghost hunt in the park with Phychic medium Rob Foster who delighted everyone with the spooky tales of the history of the park and the former residents and visitors who are haunting the park and refusing to leave. 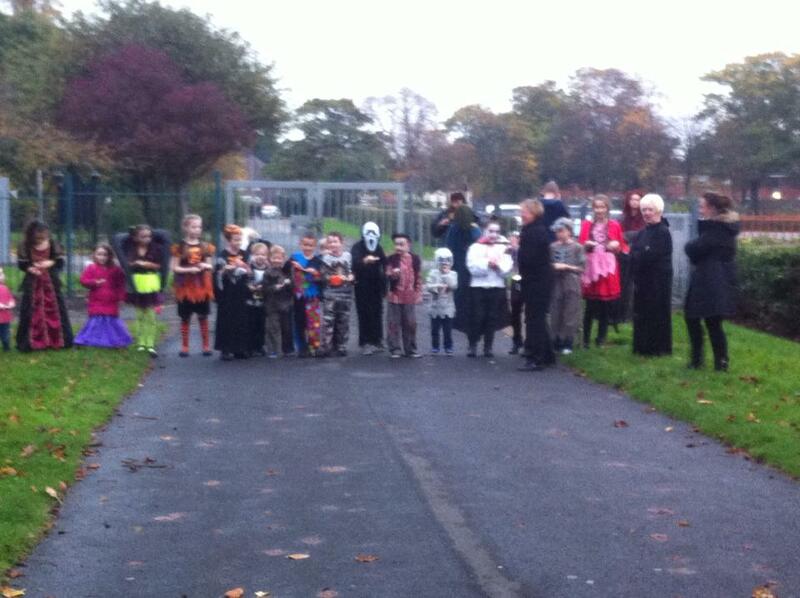 Everyone had a spooktakular time with lots of ghouls and spirits joining us on the walk. We all can’t wait for next year for our second one. 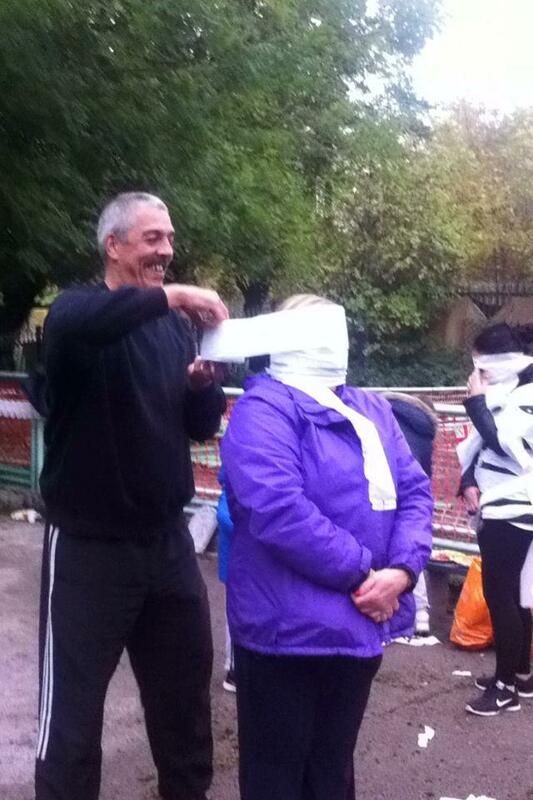 Our fun day was just that….full of fun and laughter. 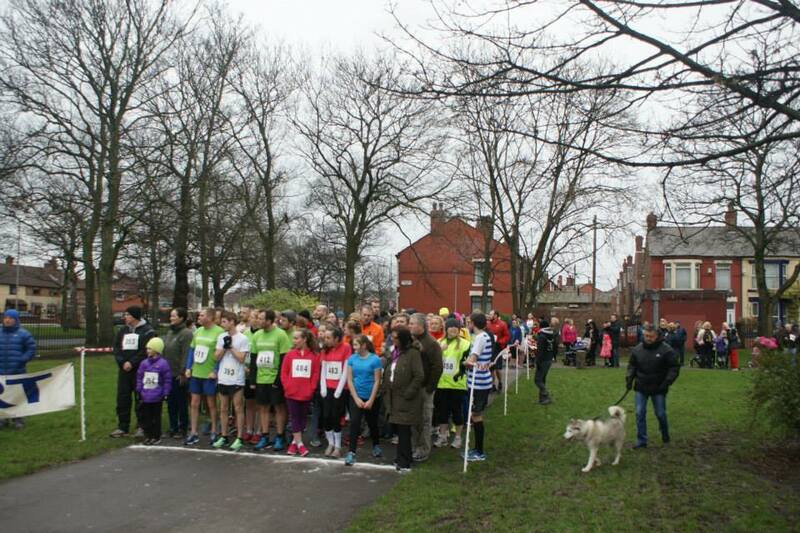 Lots of our community and visitors came out to support us and the park and be a part of the day. 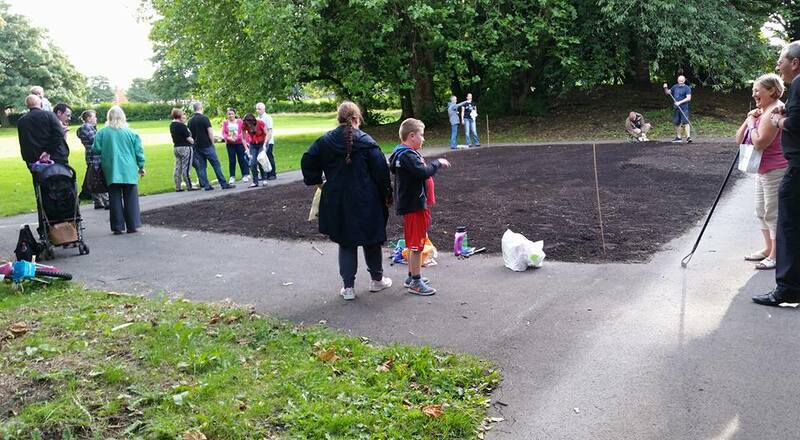 Thank you to all who helped, our volunteers as usual were fantastic and all who came to enjoy Walton hall park in the sunshine. We set up a Just Giving page to help us create a community hub. 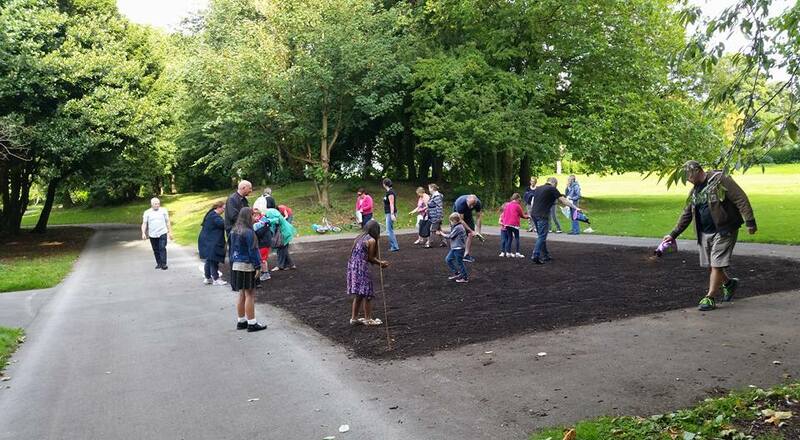 Not only do we work around the park including planting, painting and litter picking we also do a lot of work with the local community. 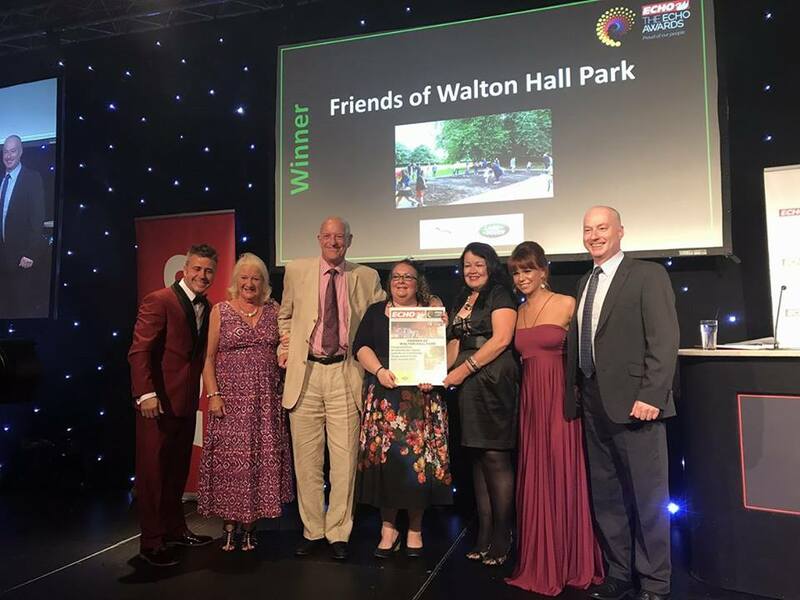 You can see our work on this website our Facebook page and our twitter account (@wallyhallpark) We would like to thank everybody who donated to the cause which will allow us to carry on improving Walton hall park for the wildlife, its community and visitors alike. 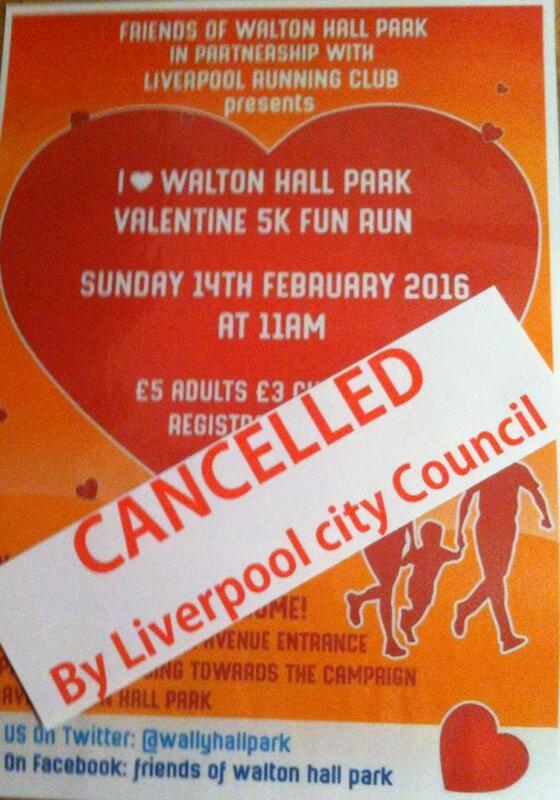 It is with a heavy heart that we have been forced to cancel our annual 5k Fun Run, due to Liverpool City Council asking us to pay for using our park. 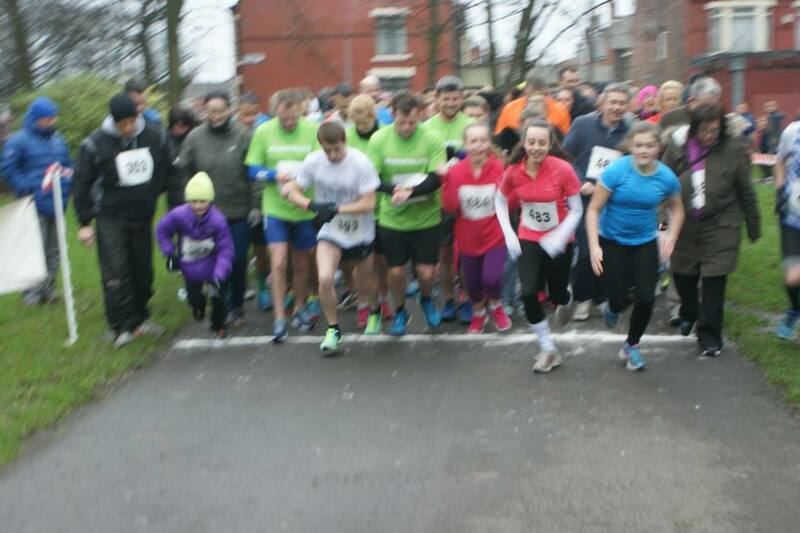 Last year we had a fantastic turn out, with over 300 runners turning up on a freezing January day to support us and Walton Hall Park. 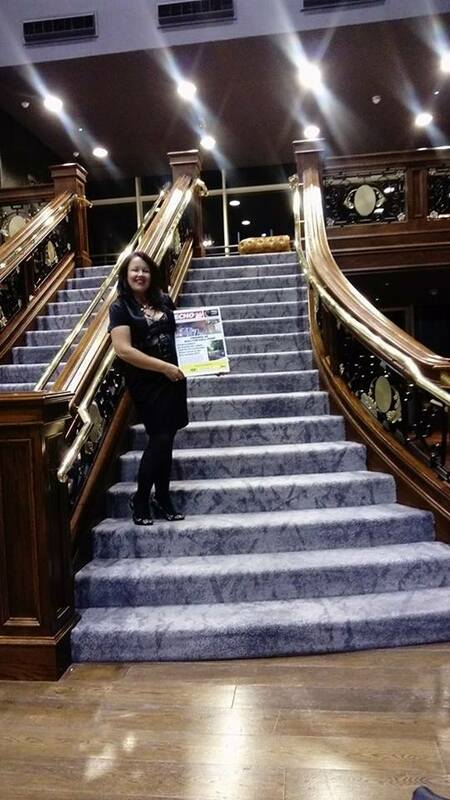 We raised money which we then used to hold some great events throughout the year, that were all free for the local children. 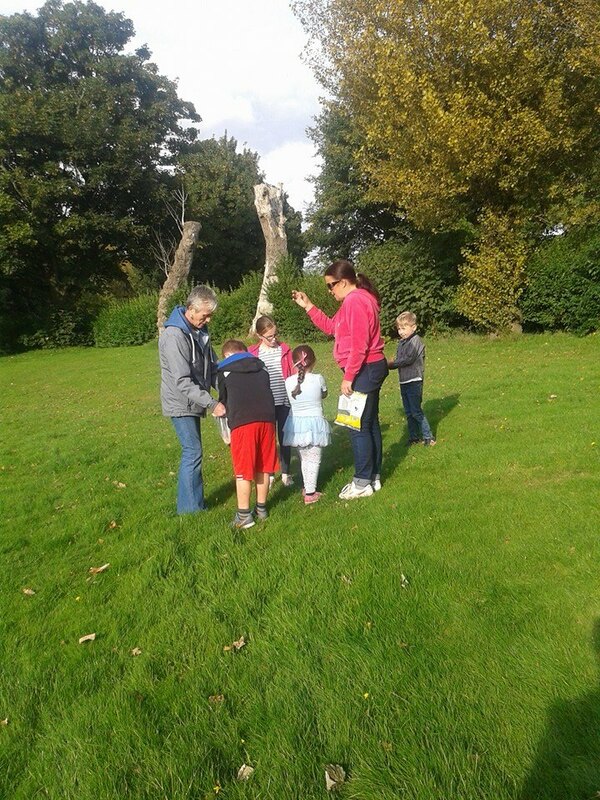 We held an Easter egg hunt, a Halloween party and the Christmas craft day with free food, free prizes and gifts for every child, we also held nature days where we purchased seeds and nuts for the wildlife, and the children fed them. 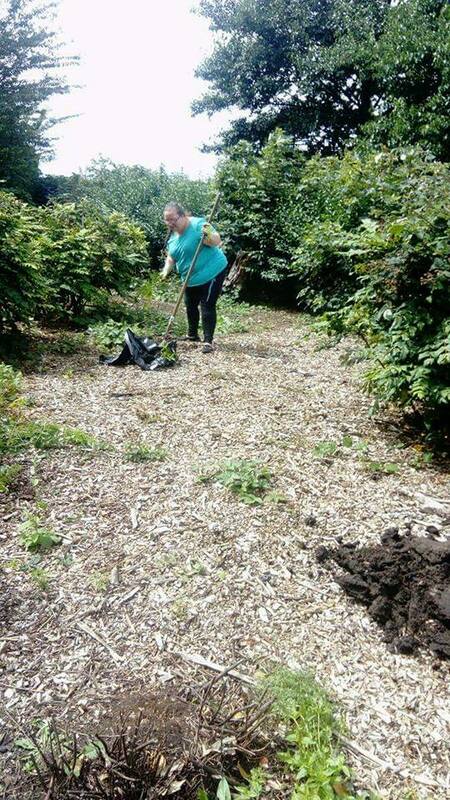 We also used the money to purchase seeds, bulbs and some plants for the park, and we purchased Litter pickers for the volunteers for our weekly litter pick. 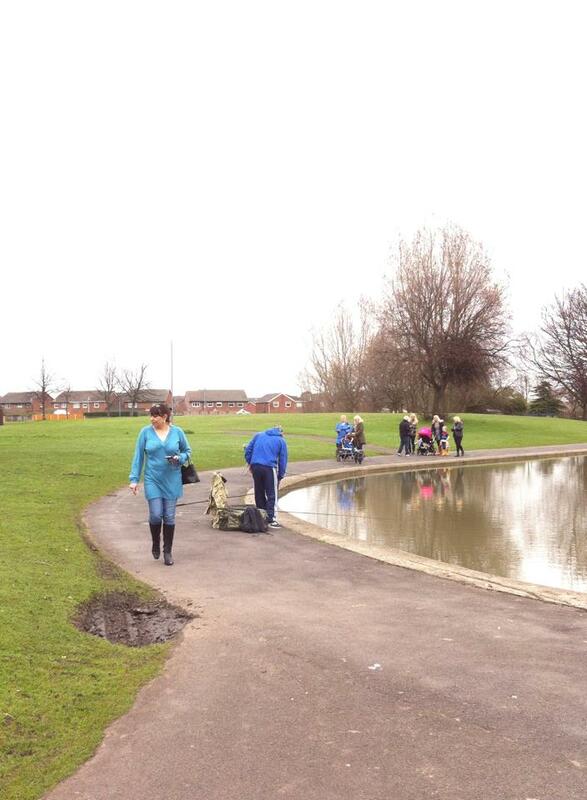 All this in 18 months by volunteers who are very proud of their park and their community. 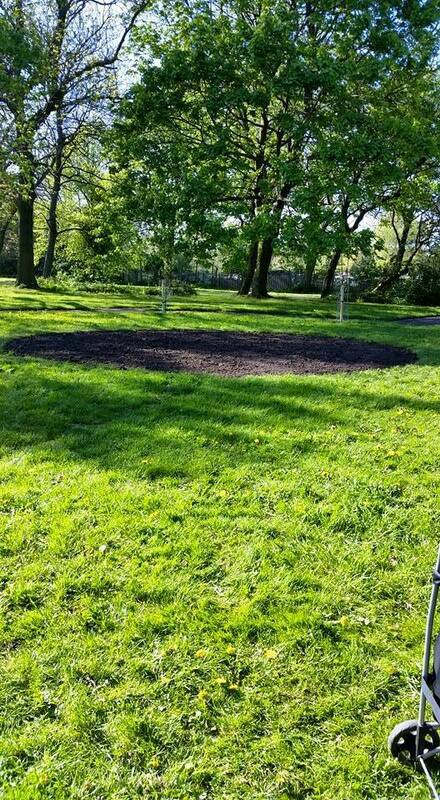 We do not charge Glendale or Liverpool city council for the work we do, so why if we are the only ones who care and work every day in the park, are we being asked for payment to use it? 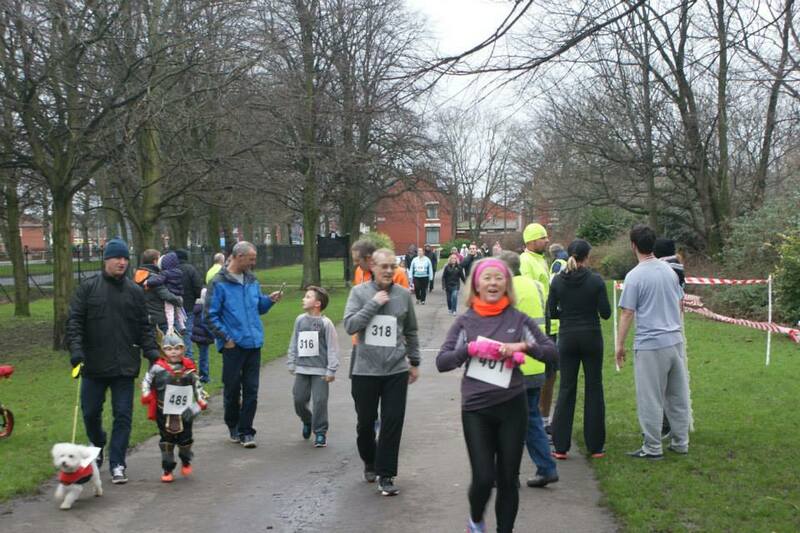 They have said that as we are asking for Fun Run participants to pay, they must charge us, but with all of the money intended to be used to better the park and our lives we cannot justify paying the Council hundreds if not thousands of pounds! Liverpool City Council know all this. They know we use the funds for our children, our community and our park. We are all volunteers that live around the park. We are mums, dads, grandparents and even the children themselves who come out of their comfy chairs and warm homes every single day. 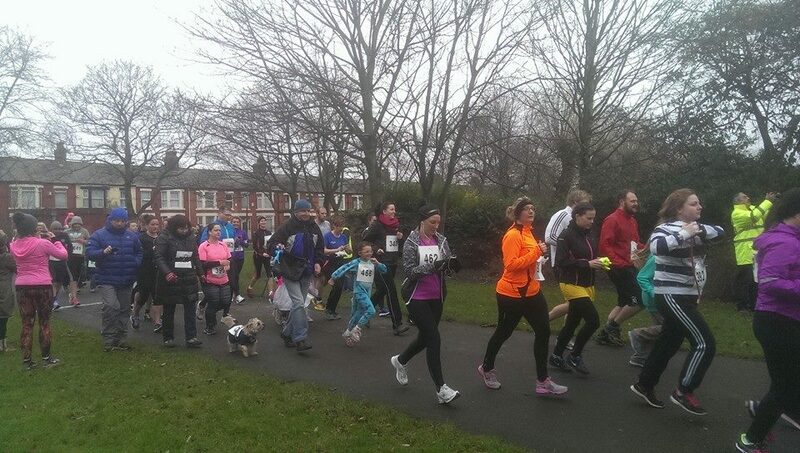 So why have the Council decided to stop us holding this Fun Run? 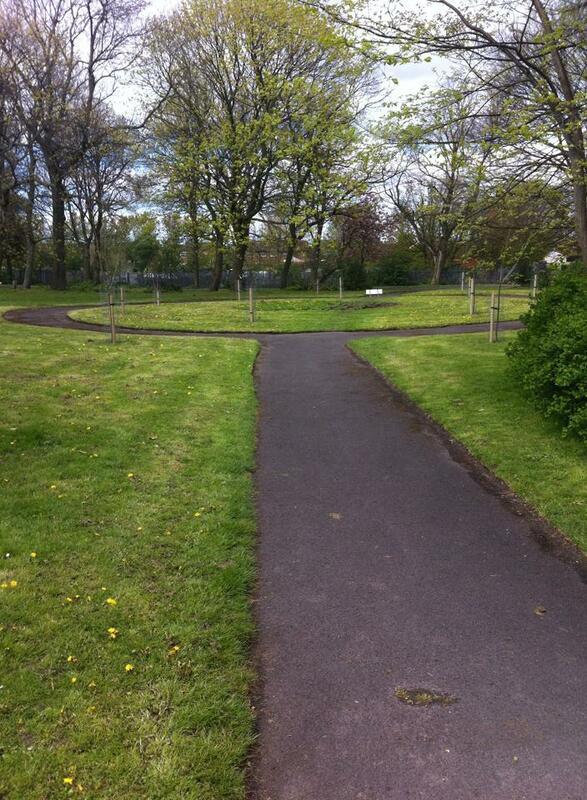 After all we are only trying to make our park better, the park that they have not invested in for years. 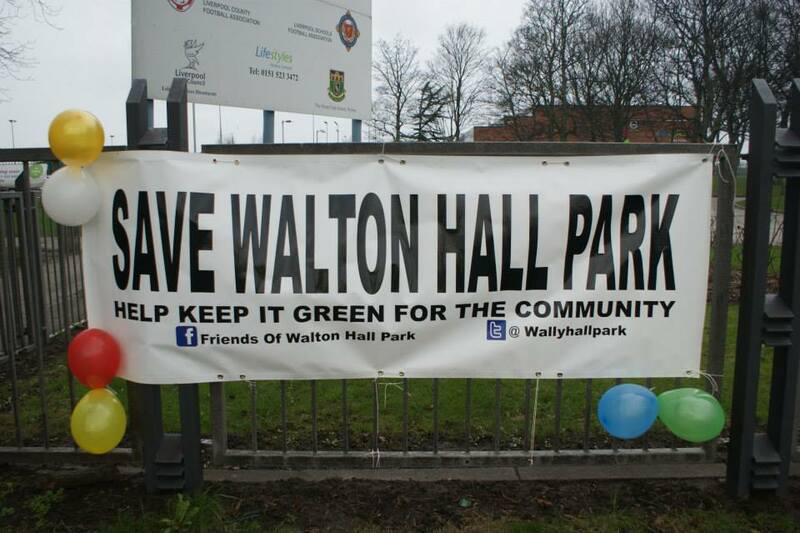 Walton Hall Park is NOT included in the parks planting scheme, so we buy them! 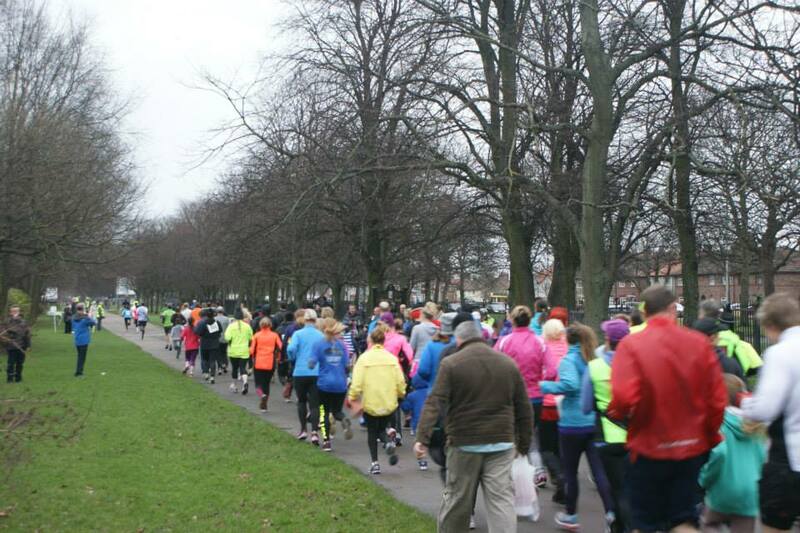 In 2014 Walton Hall Park had NO events, yet Sefton Park had 220, so we held our own! 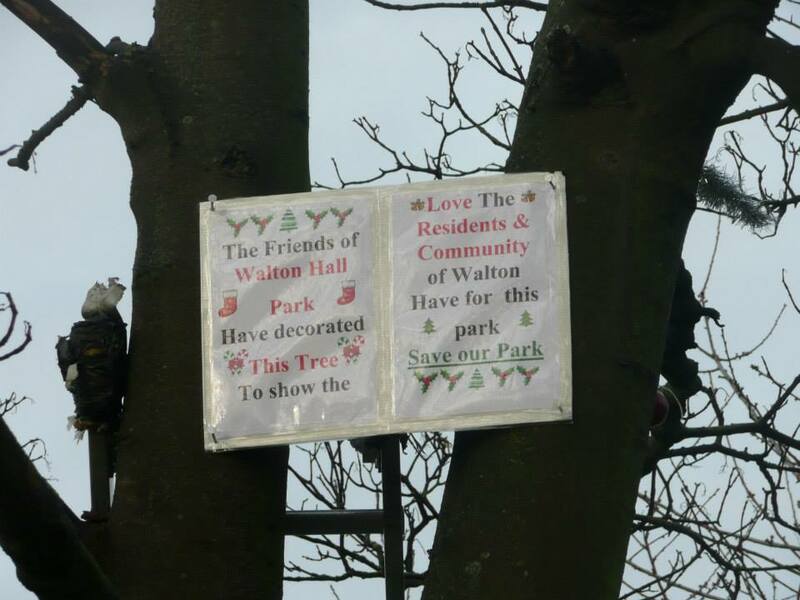 We are very proud and honoured to work in Walton Hall Park, and to live in such a great community that does not need the type of “regeneration” that the council are planning for our area. We did think that the council would help or advise us when the MASS development was first brought to light, how wrong we were! 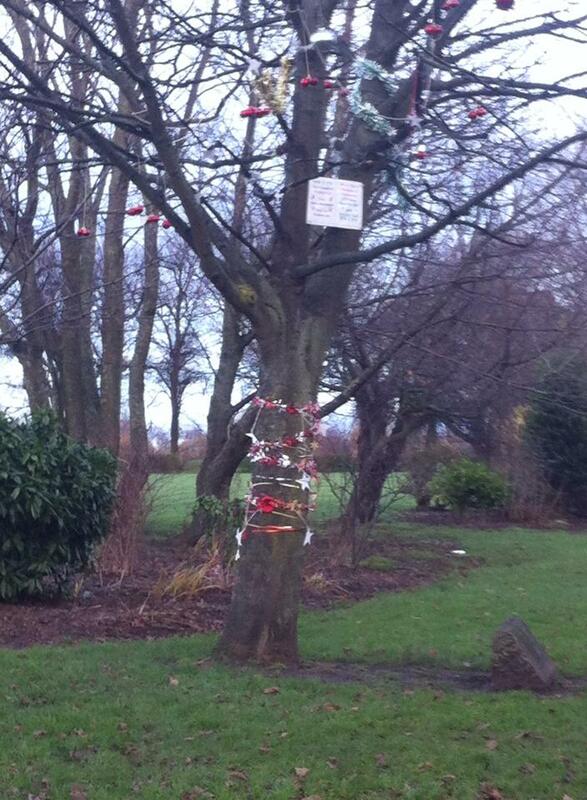 But to do this to our park, our children and our community is now one step too far. 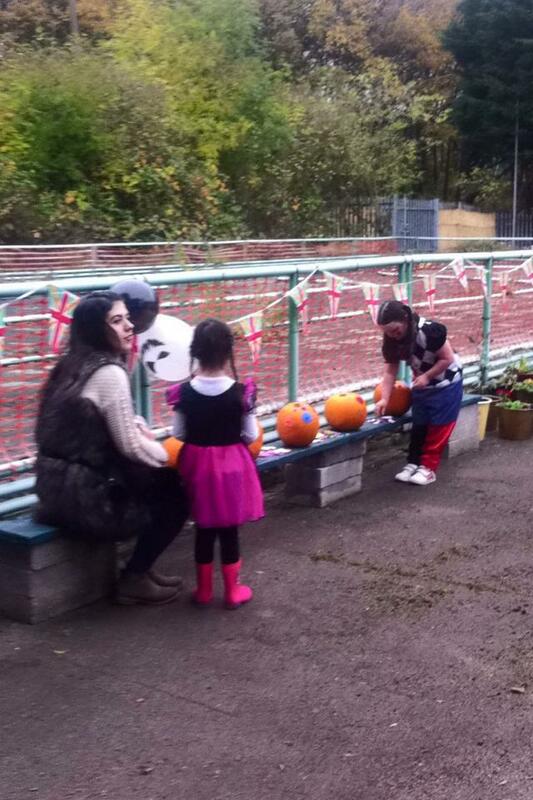 We held a lovely party for the local children at the Hetherlow centre. 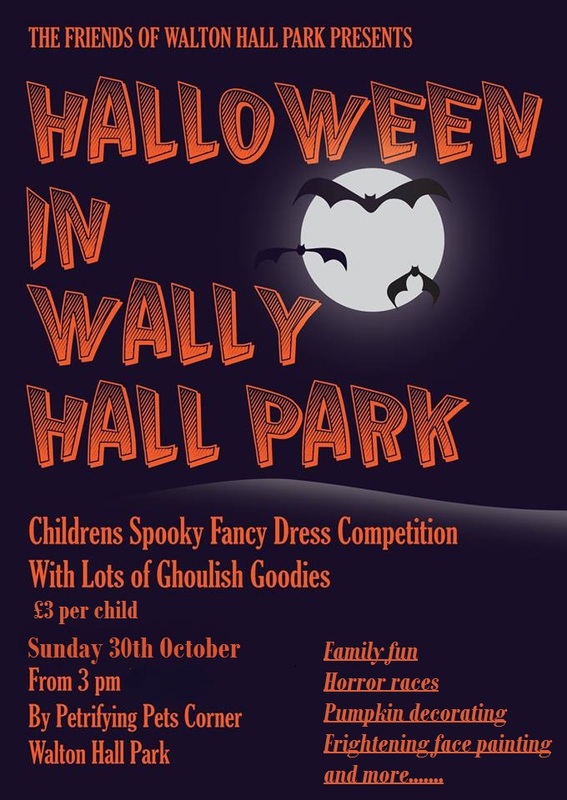 Great thanks to Chris and staff who gave us the hall for free for the day. 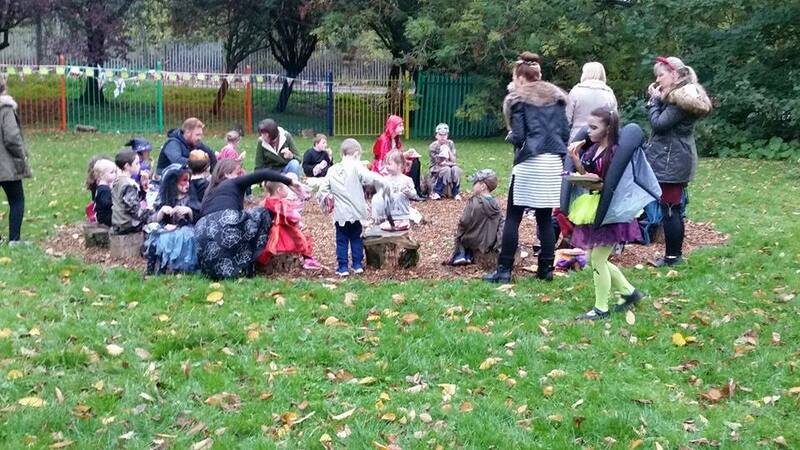 The party included crafts, all the children decorated fir cones donated by the friends of calderstones park. Also we received some decorations including baubles and tinsel for the children to decorate. 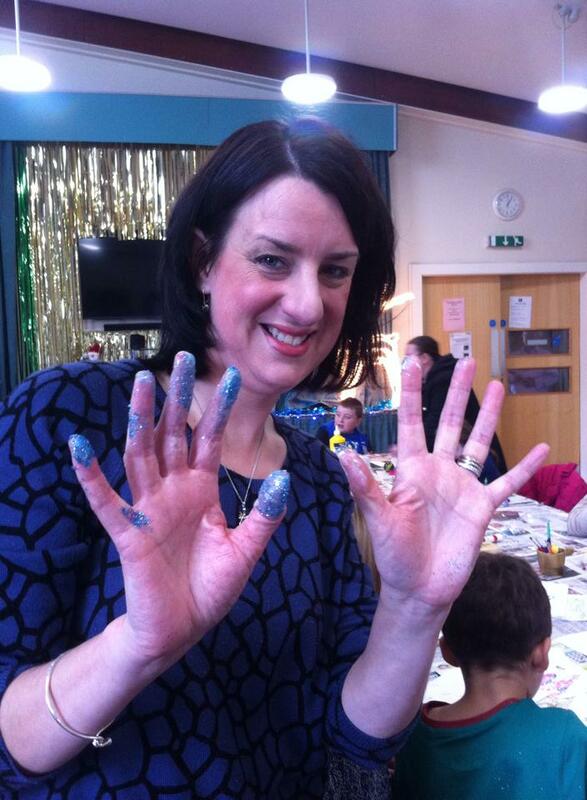 We all had great fun and there was glitter everywhere even in the mince pies and Christmas cake we ate. 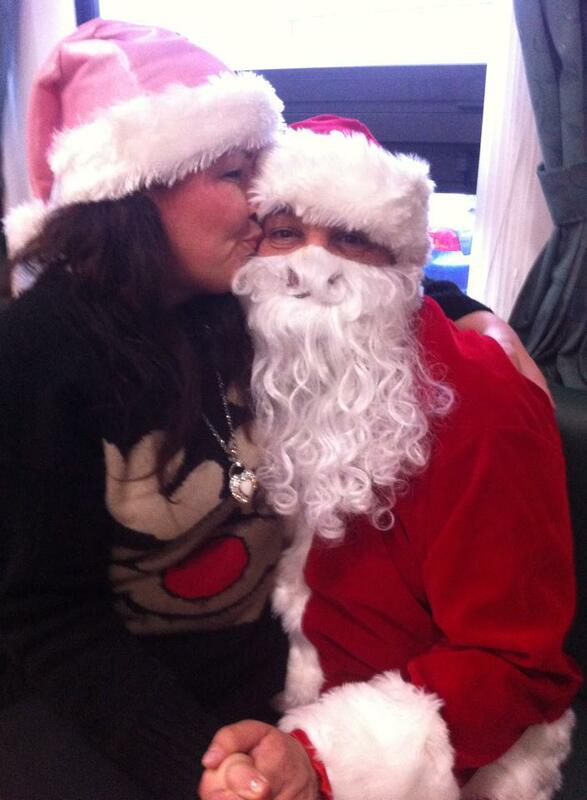 Then when the children had finished we had a very special visitor …….Father Christmas who brought each child a selection box and a few presents for the adult helpers. 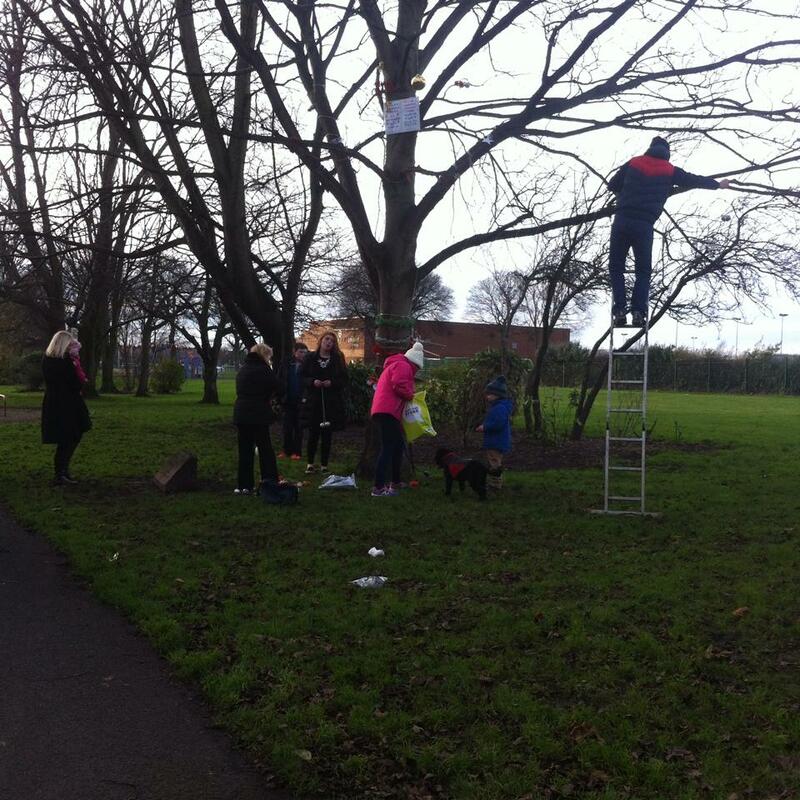 It was a great community day with lots of fun and laughter and Christmas cheer. 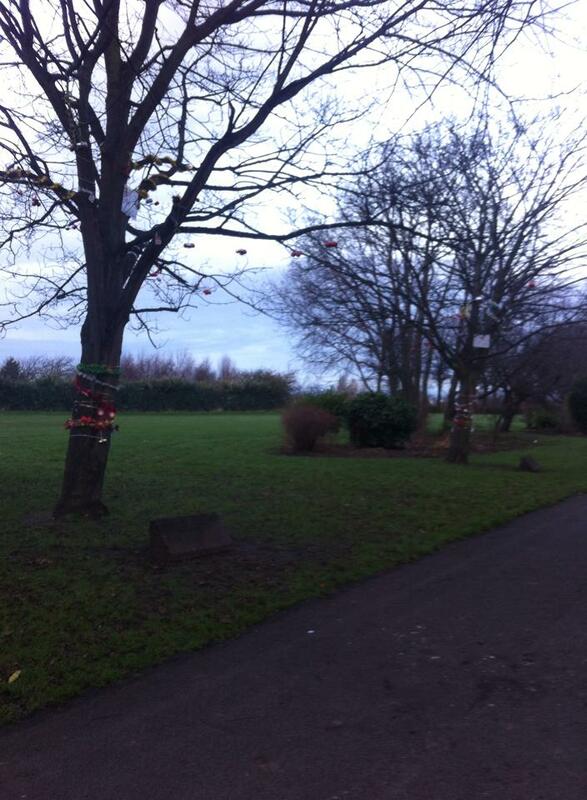 Once the decorations were all dry we took them to the park and the men hung themon our trees in the park. 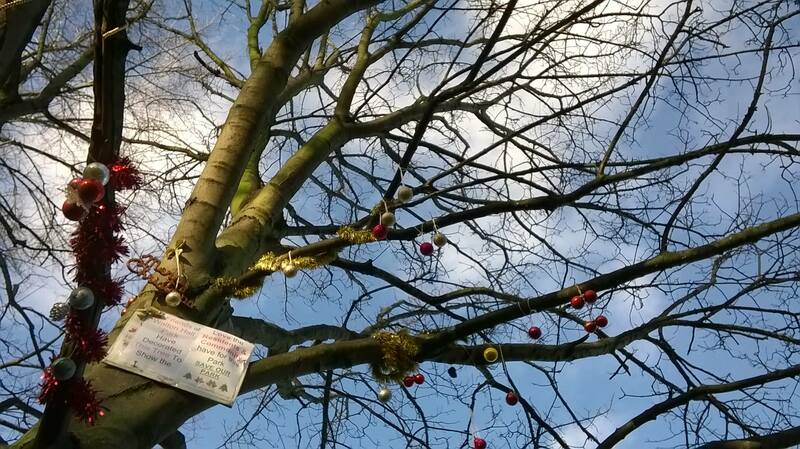 I hope you will agree they look lovely and so much thought and effort by the local children put into them they are extra sparkly. 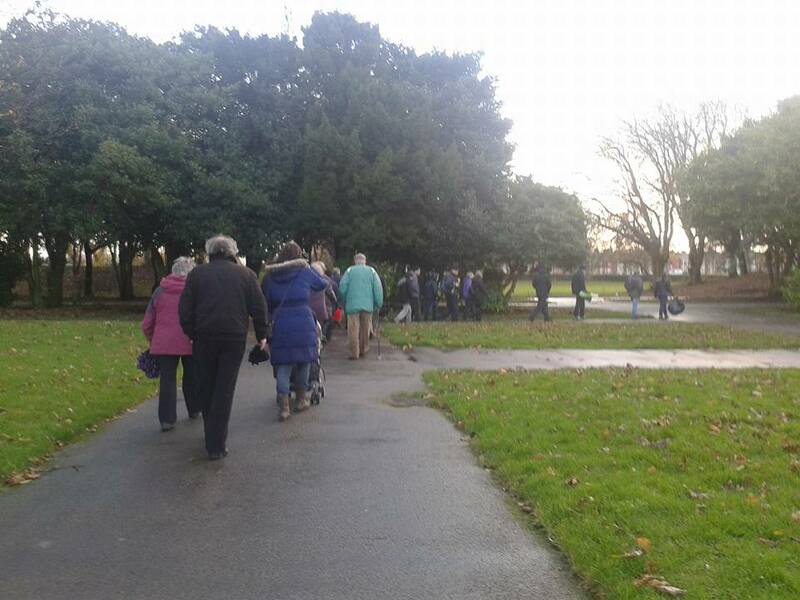 Everyone was welcome to join this free guided walk in conjunction with the Friends of Walton Hall Park to discover the History, trees, fauna and flora of this beautiful park on this invigorating winter walk. 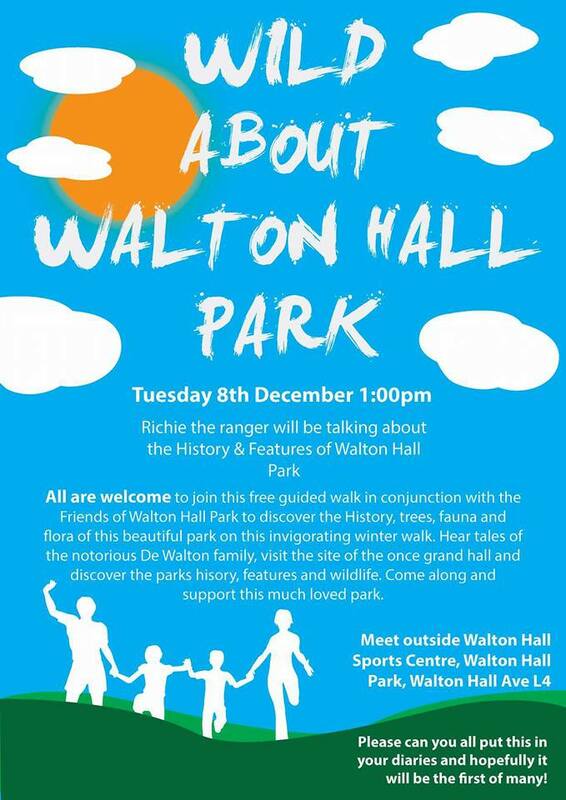 Hear tales of the notorious De Walton family,visit the site of the once grand hall, and discover the parks hisory, features and wildlife. 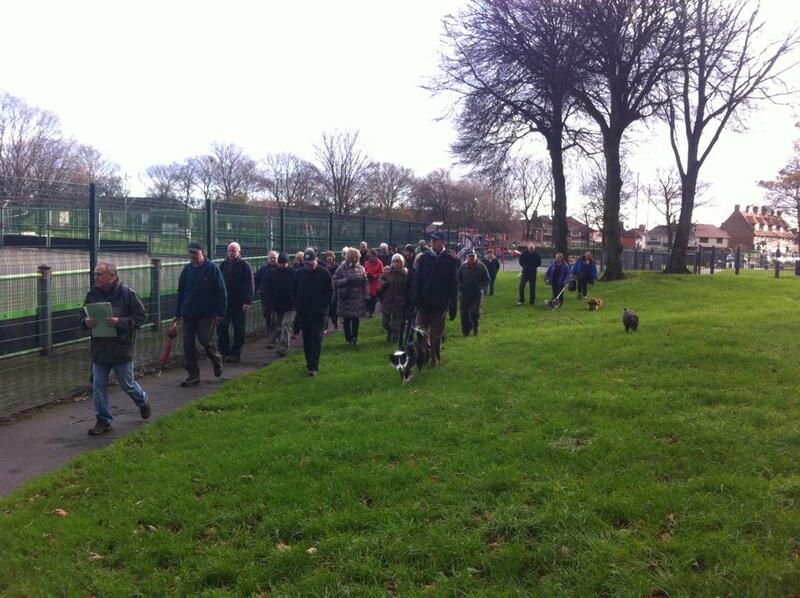 We all came along and supported this much loved park. It was so successful it will be hopefully be the first of many! 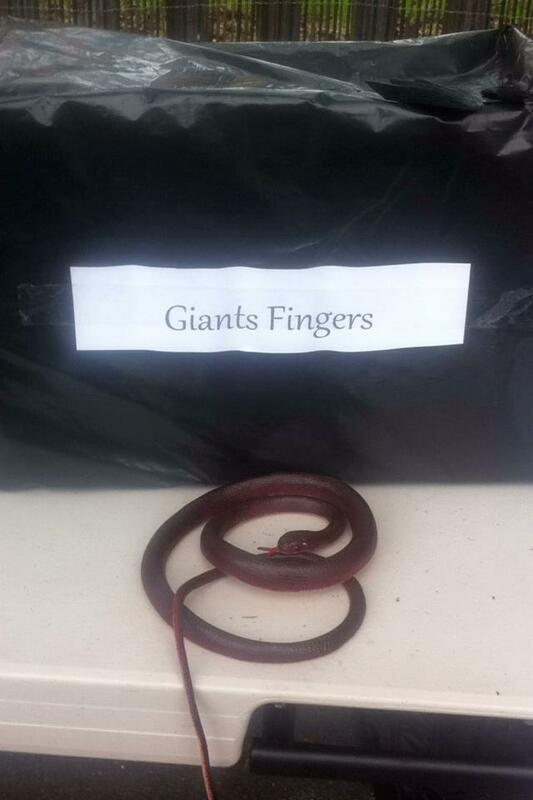 What a great community event. 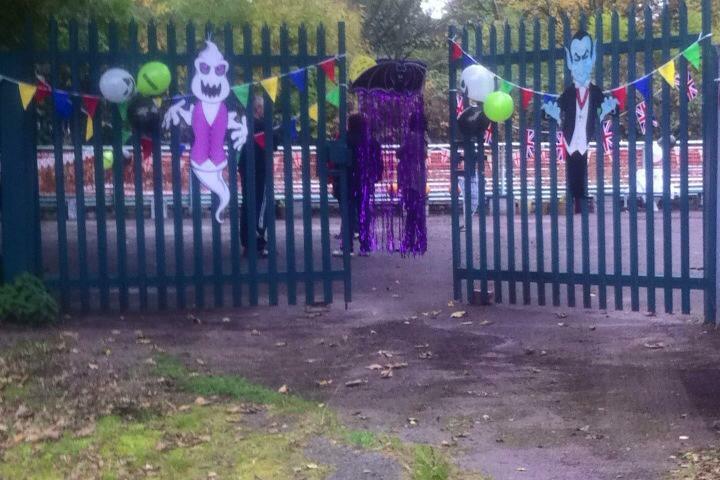 We brought the park alive with spooktacular style when the children got dressed up in their Halloween costumes and masks to enjoy some great fun and games. 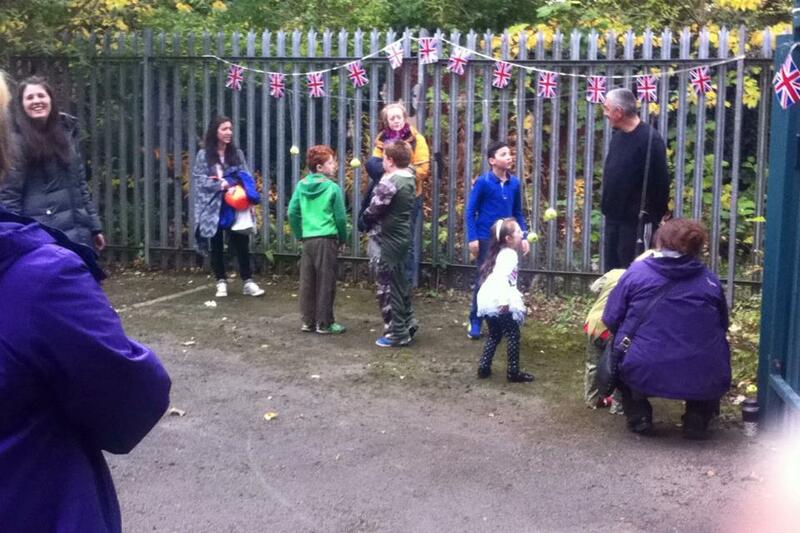 All the mums dads and grandparents brought food, drinks and lots of goodies for all the children to enjoy. 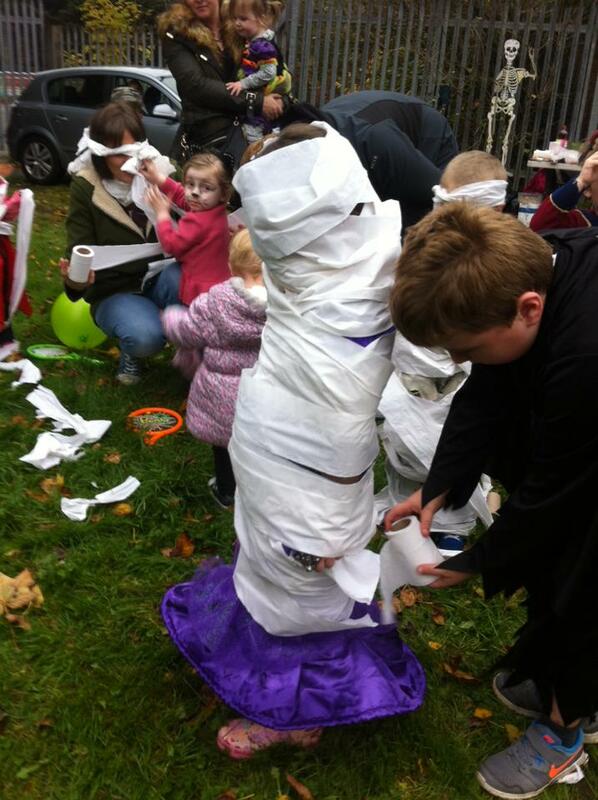 We did mummy wrapping and had trophies and prizes for first second and third prize. 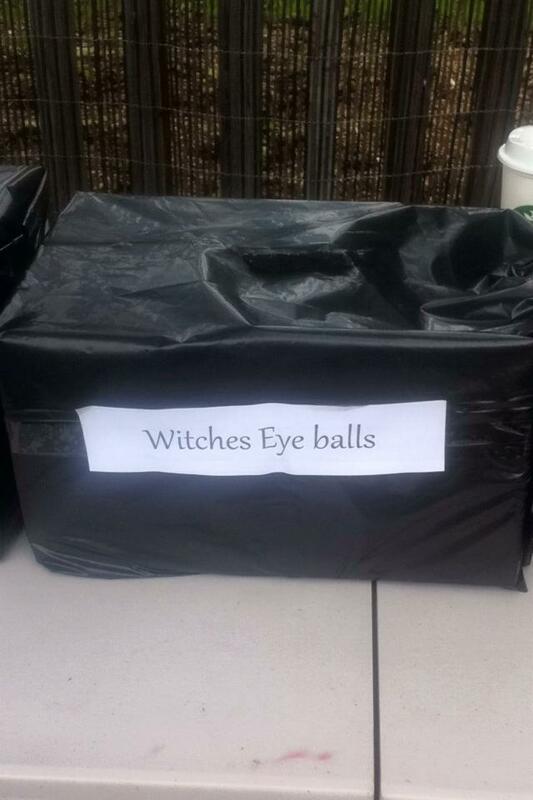 We also had an eye ball and spoon race with children running up the lane of the park balancing chocolate eye balls on their spoons, again winning great prizes and medals. 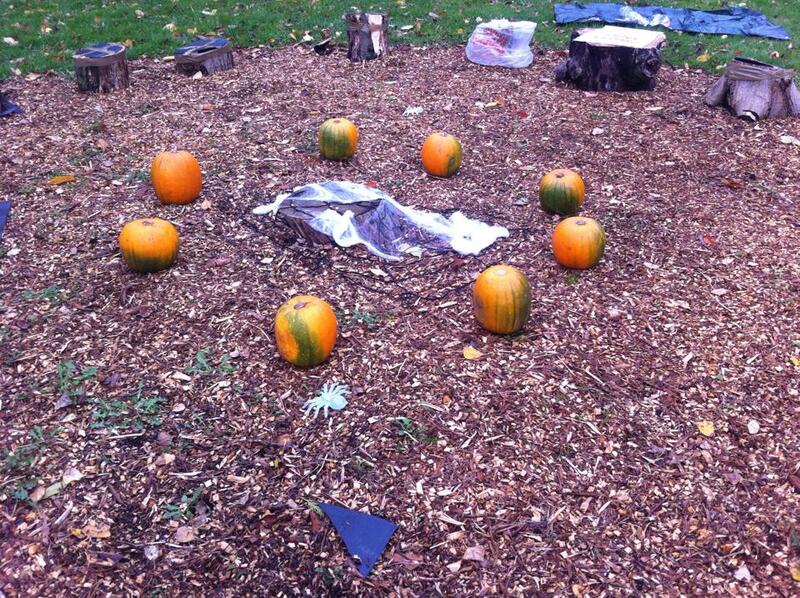 The pumpkin decorating turned out to be a really colourful arts and craft class. 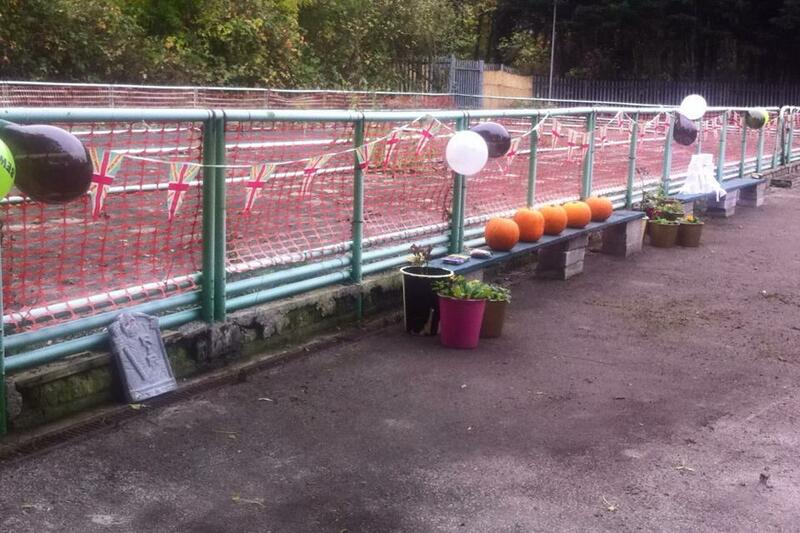 The children loved decorating them and they all took the pumpkins they had decorated home. 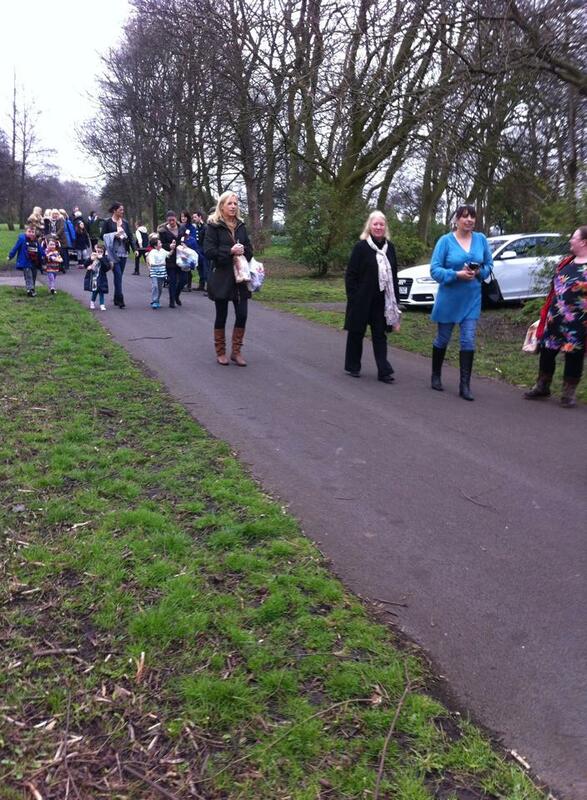 This event was all free for our community and just what we all needed lots of fun and excitement in the park. We had so much fun it was getting dark when we finished so we lit up some glow sticks for the children to walk home with. 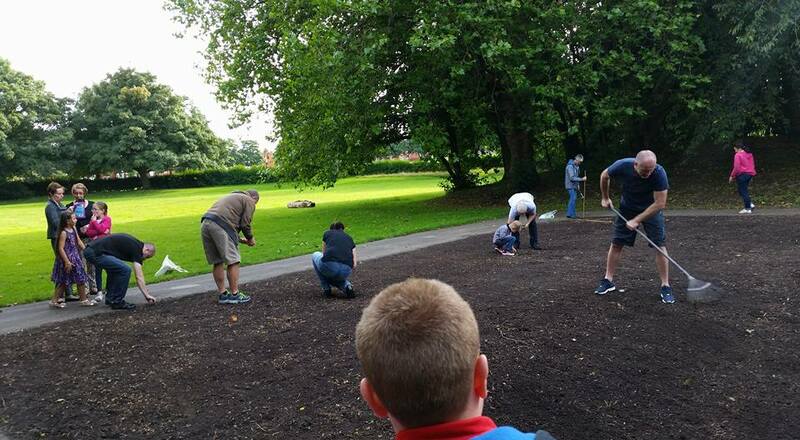 The community and members all came together and planted lots of wild flower seeds in the parks flower beds and then the children went to feed the parks resident birds wild bird seed and lots of fat balls were put up and spread around. 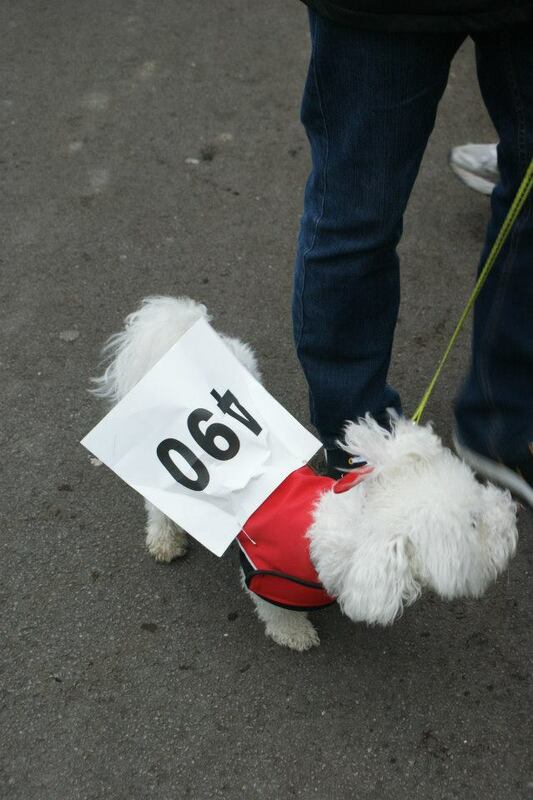 We all had so much fun and it was a lovely event on a beautiful sunday afternoon. 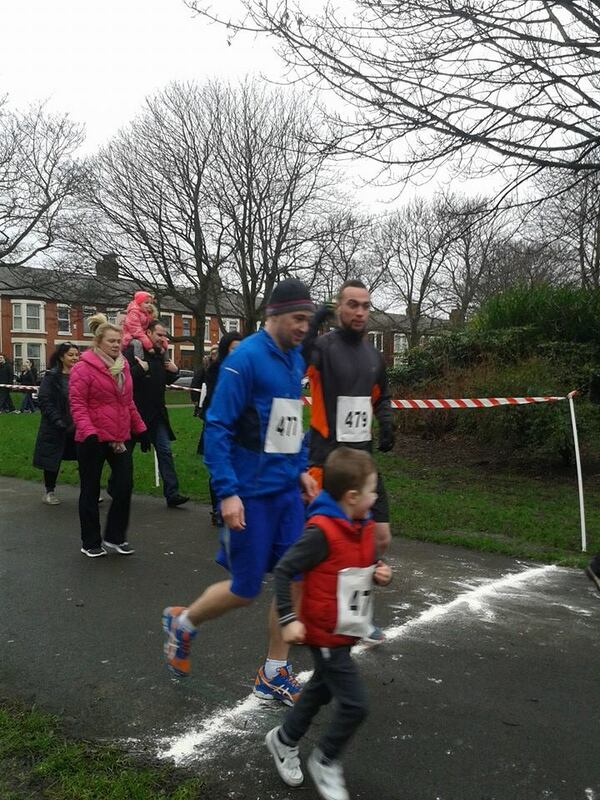 Thank you to all who came along and helped out. 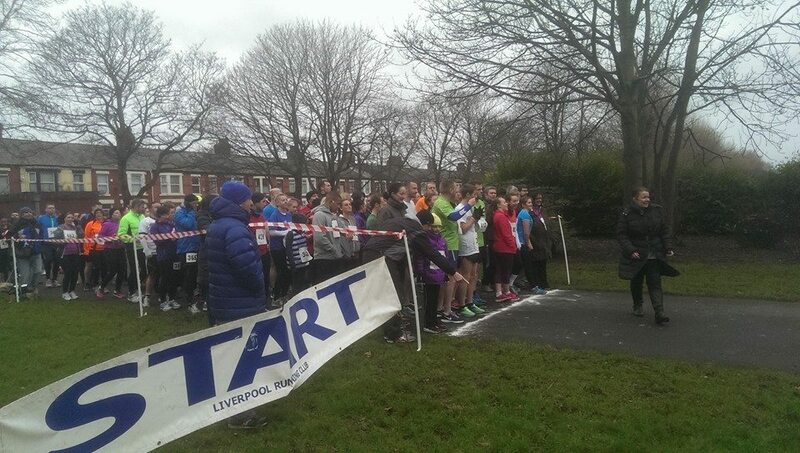 Sadly for our community Liverpool City Council has not held any events in our park in over 12 months but they have held over 220 events in Sefton park with residents and councillors in that area asking for them to be shared across the city of Liverpool due to “too much” on their doorstep. 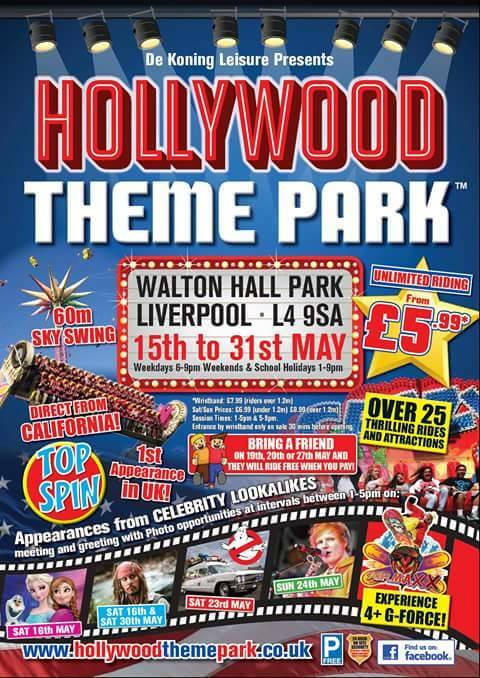 We can now announce we have finally got an event provided by the council which is Hollywood fair. 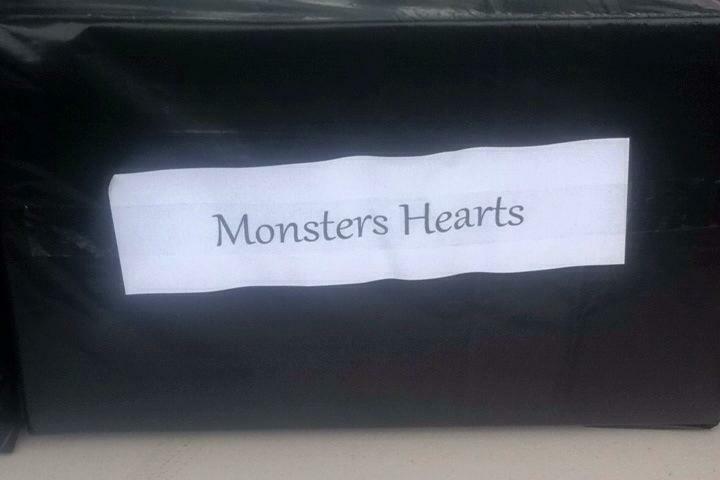 It will be in the park from the 15th to 31st May. 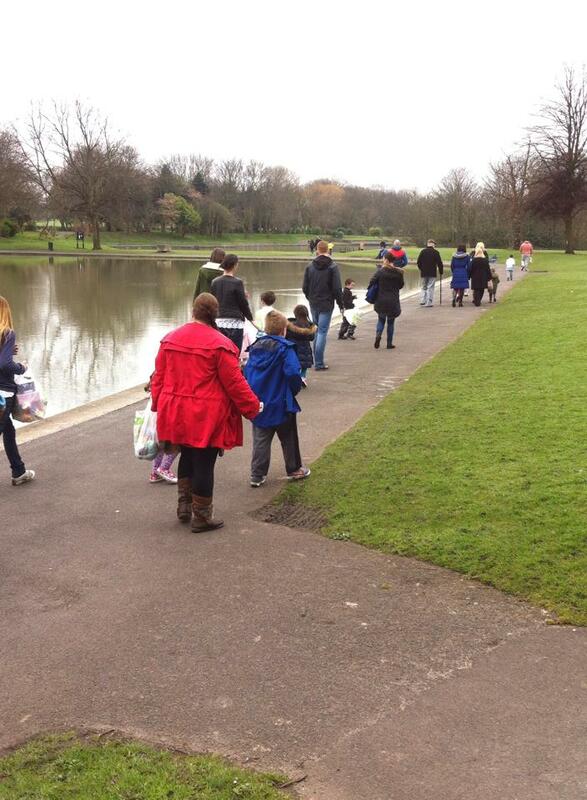 Our community decided to hold OUR events for US and in OUR park with great success on a very low budget. So we have proved it can be done and needed. The rose garden was a popular place for mums years ago to sit and enjoy the summer sunshine and read their books, sadly the rose garden was left to decay over the years but was not forgotten by the community who all had happy memories of their mothers sitting in the garden, enjoying the peace and quiet and the scent of the roses. 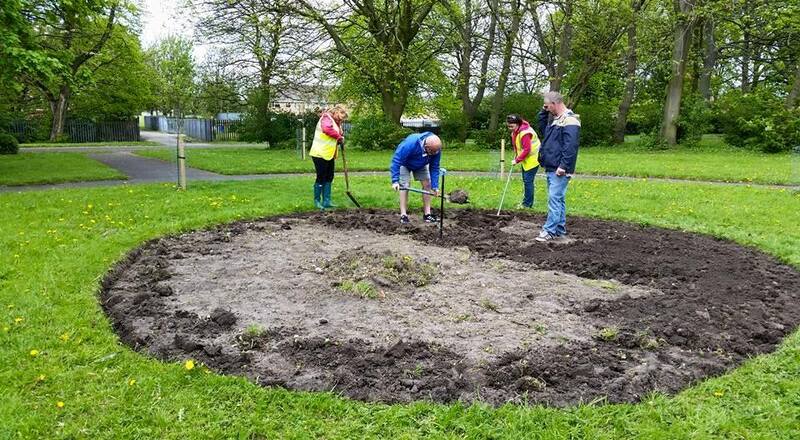 After many meetings and lots of discussions the members of the “friends of Walton hall park” decided to try to restore the rose garden to its former glory. After consultations with Liverpool city council we were given permission to bring our memories and the garden back to life. 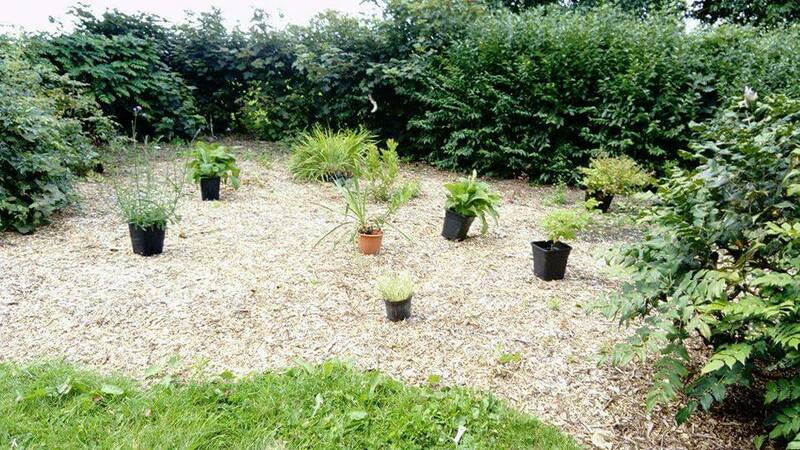 We received twelve fruit trees from the woodland trust, which was very exciting as our park has no fruit trees, we planted them with help from Glendale. 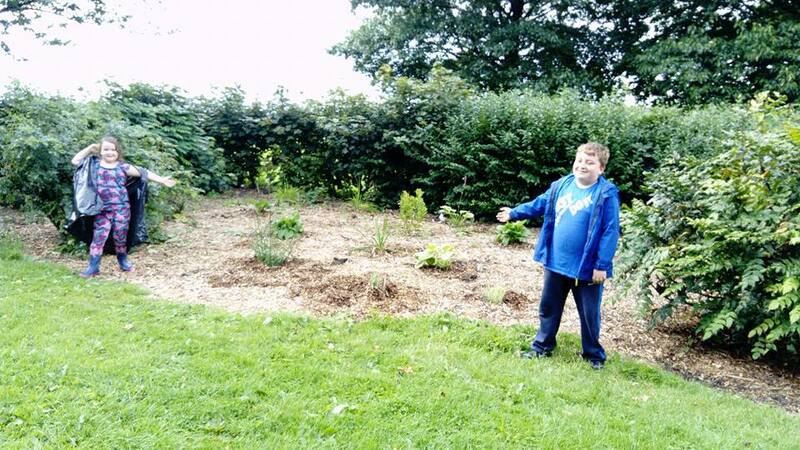 We have now dug a 20ft rose bed and each member of our group has purchased a rose bush each to be planted in the centre circle and we are also purchasing bulbs to plant in the outer beds. 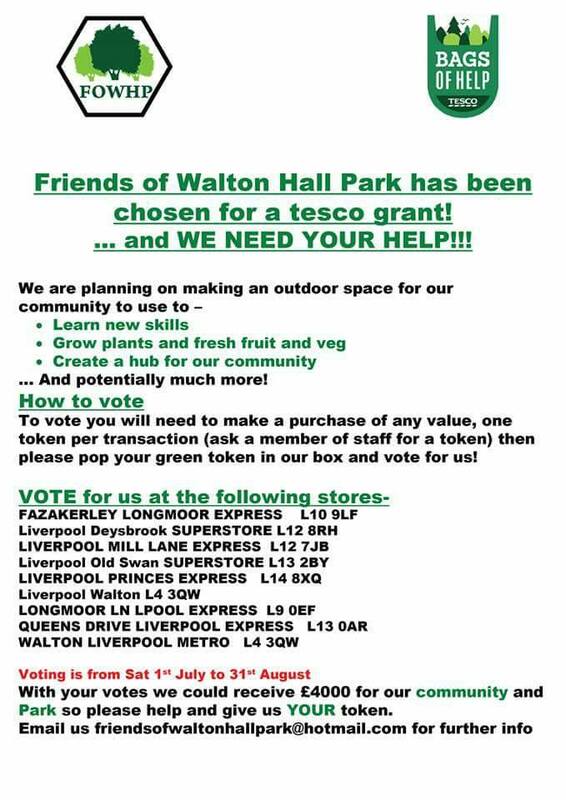 Anybody wanting to make a donation of a rose bush, bulbs or seeds please contact us via email friendsofwaltonhallpark@hotmail.com to find out our future planting days. 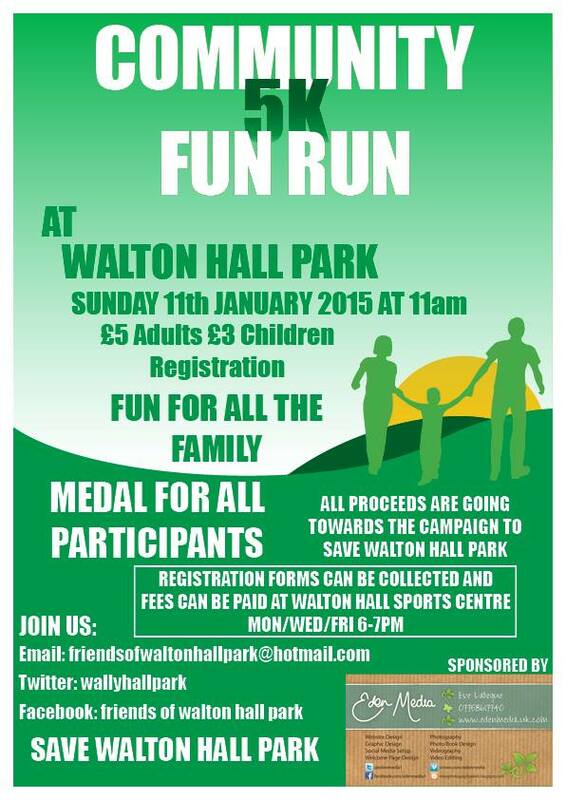 Everybody is welcome and please come along and join in the fun. 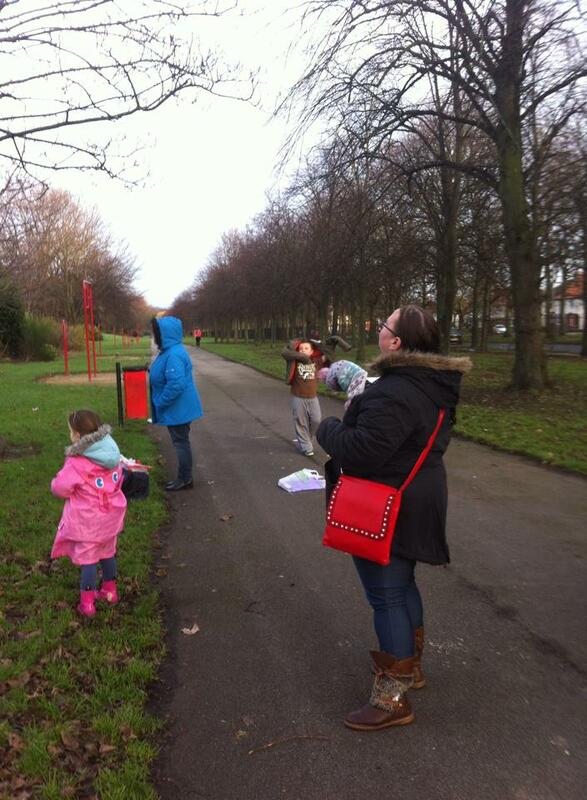 The friends of Walton hall park including members children all came down to the park to litter pick, feed the wild life. 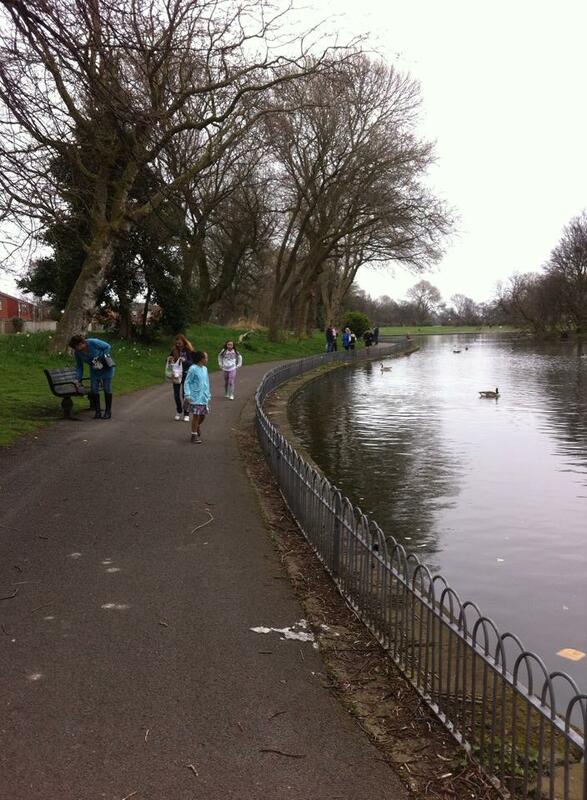 We got seeds for the wild birds, nuts for the squirrels and lots of brown bread for the ducks and geese. 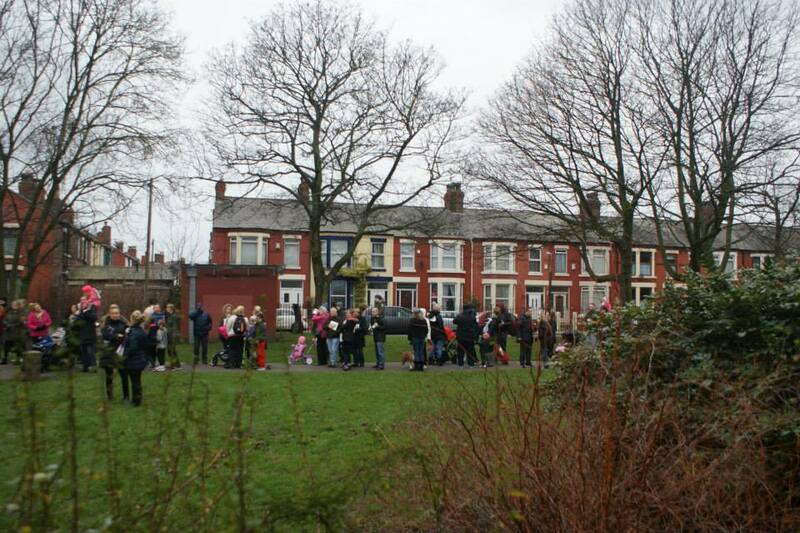 It was a lovely day and great community work on such a special day of the year. 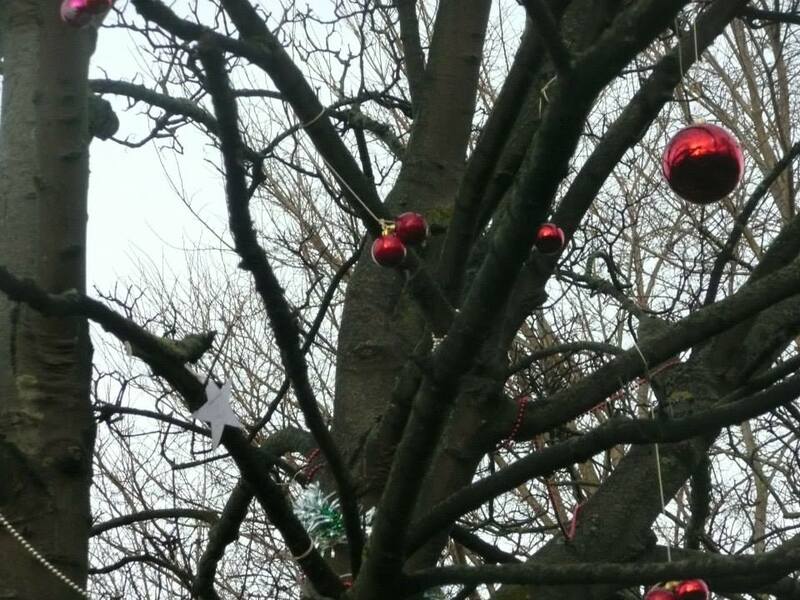 Our Christmas tree event was really lovely. 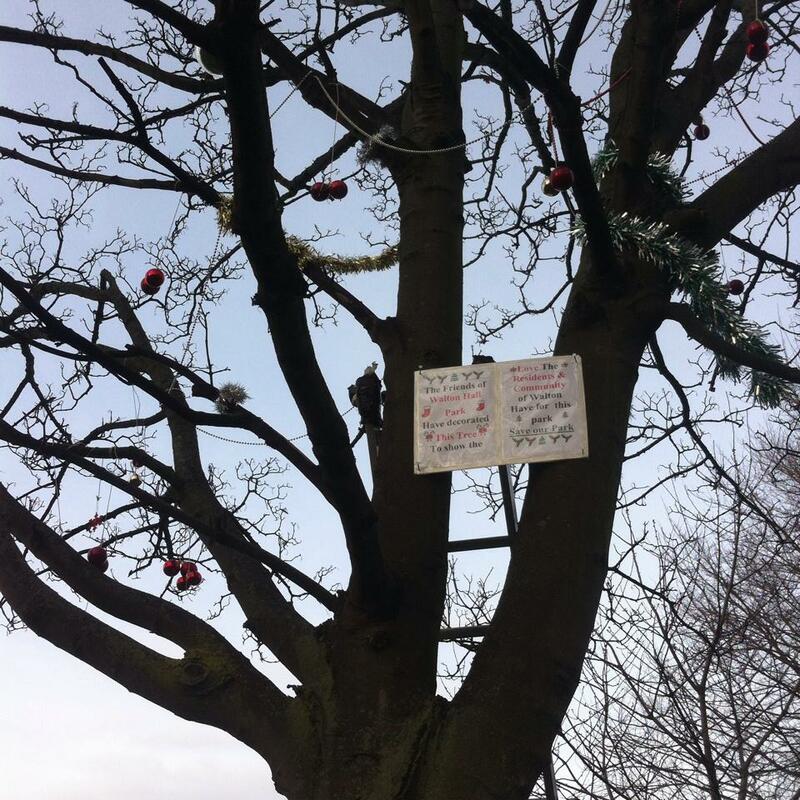 The friends of Walton hall park brought decorations, including decorations amde by the local children, and we all wrote wishes on stars and hung them on the trees. 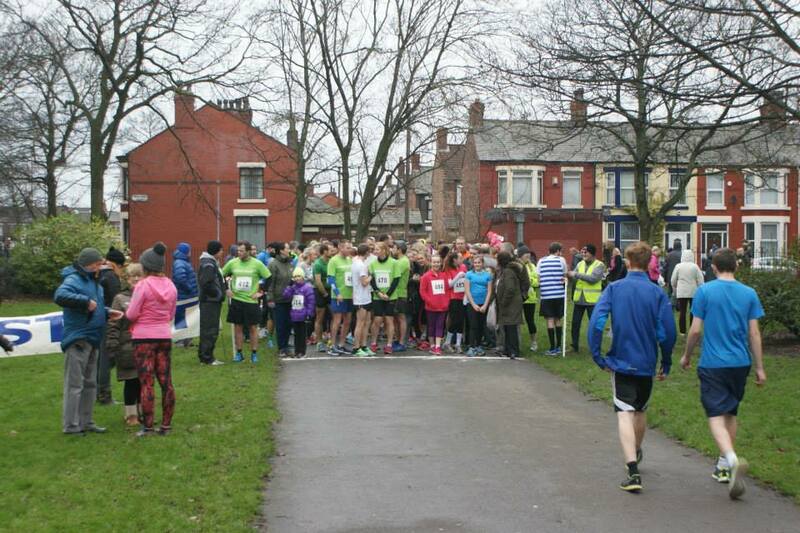 On 11th January we held a fun run alongside Liverpool running club to raise funds for the campaign but mainly to bring us all back together after the Christmas break. 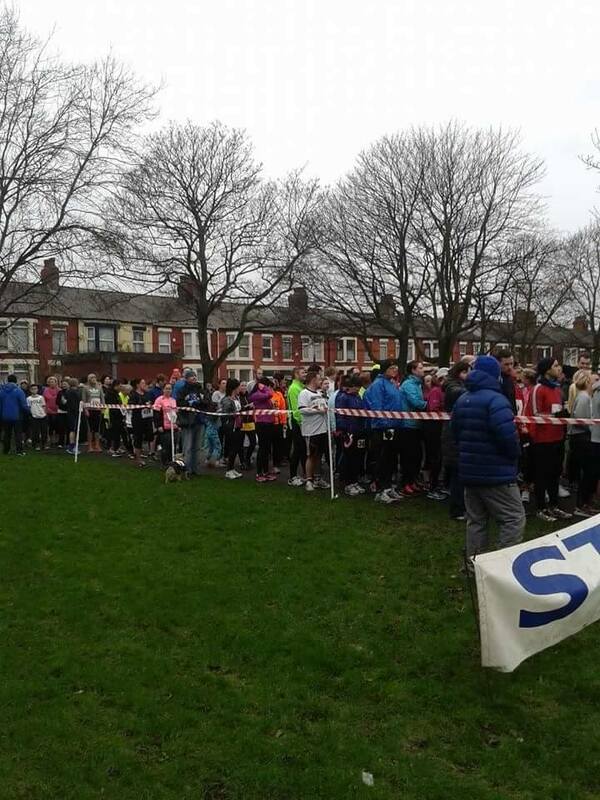 To say it was good is an understatement: it was FANTASTIC with over 250 runners taking part and everyone having a fun day, which is what OUR park is about.